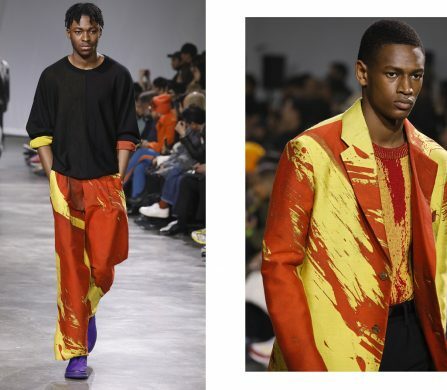 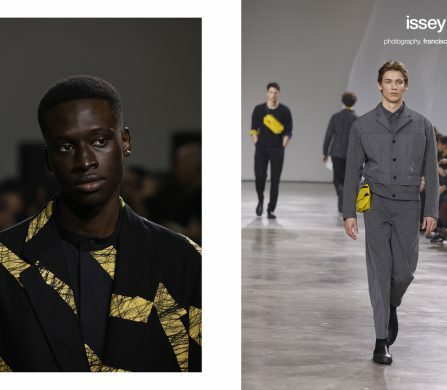 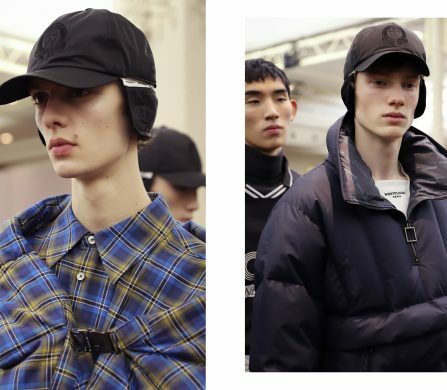 As the fashion calendar dictates, this season’s menswear shows came to a close this past weekend and, as usual, Paris took the spot as the last host. 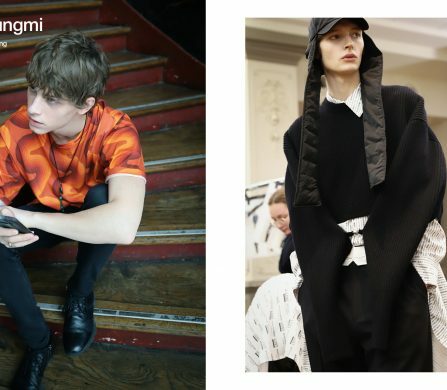 Schön! 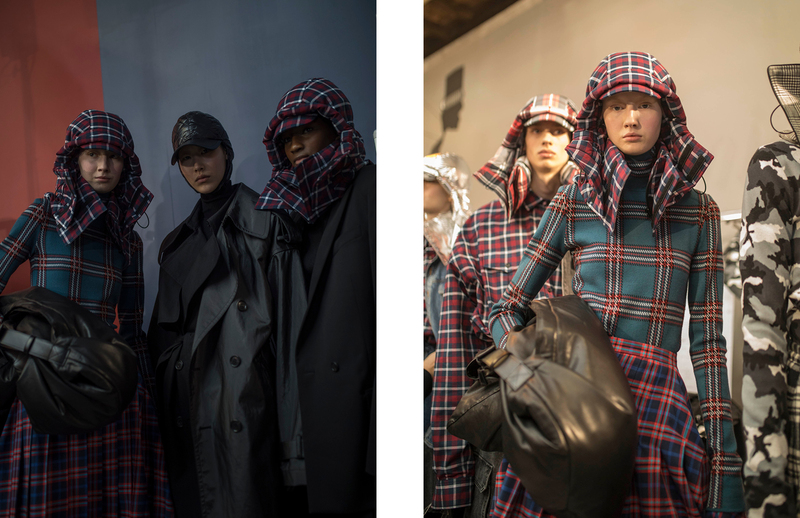 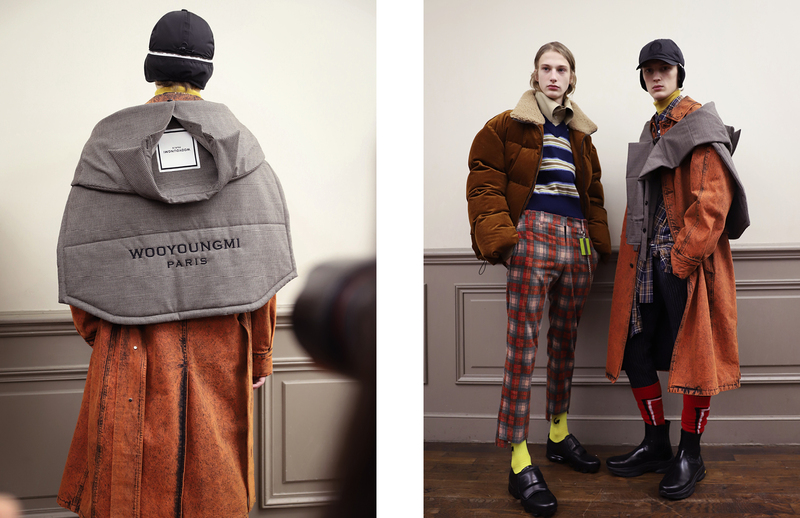 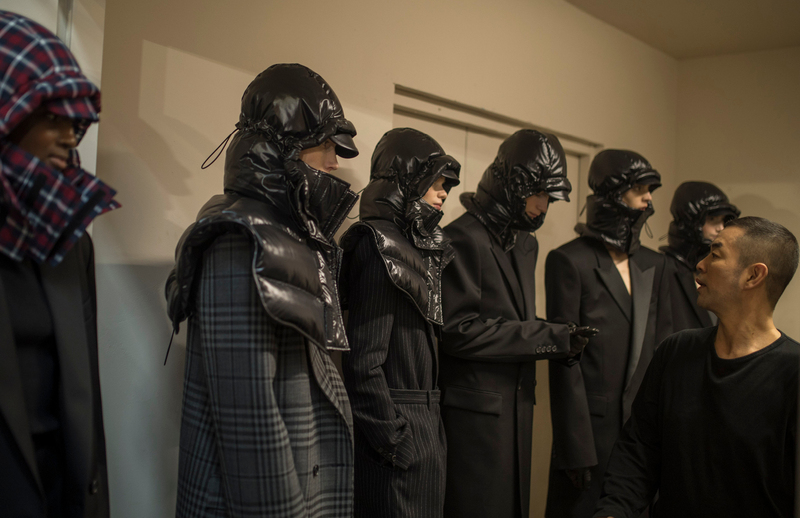 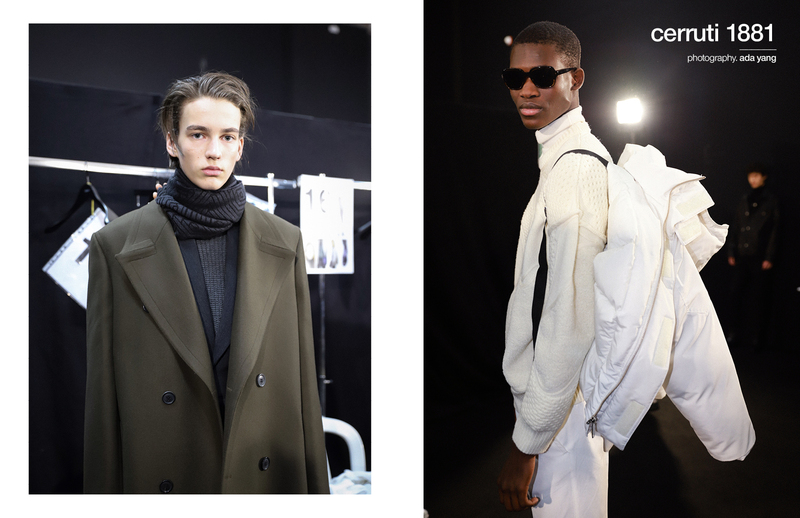 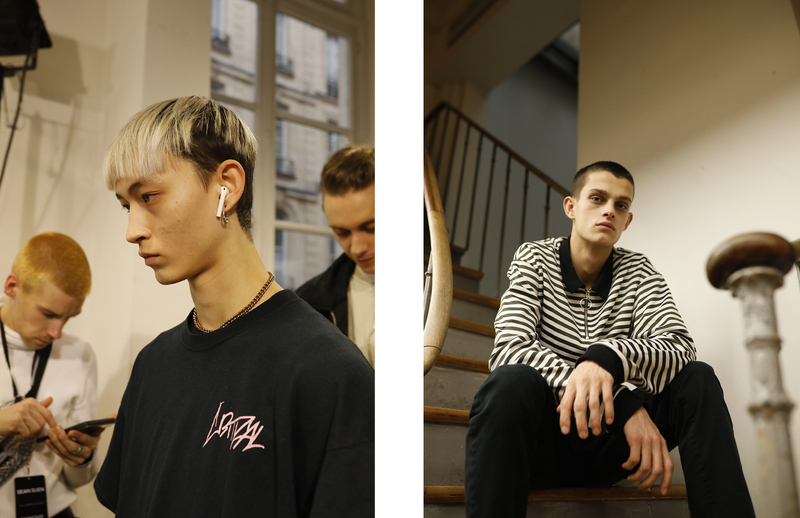 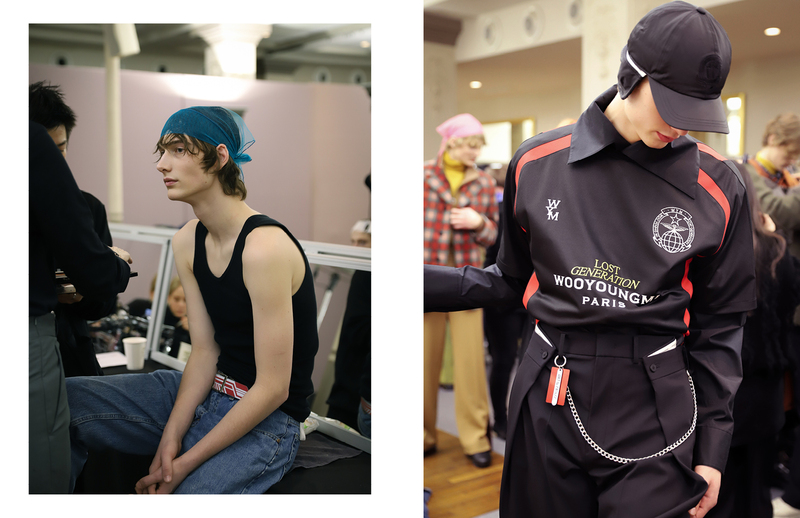 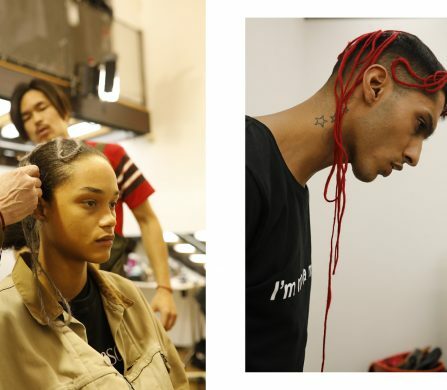 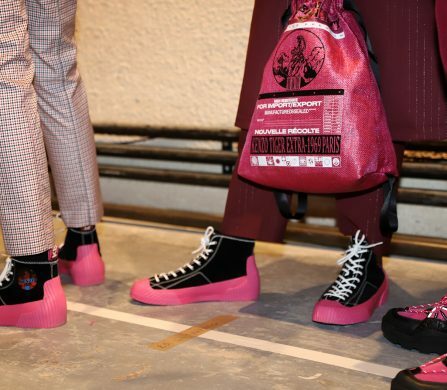 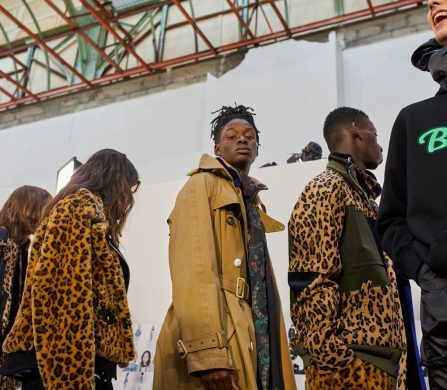 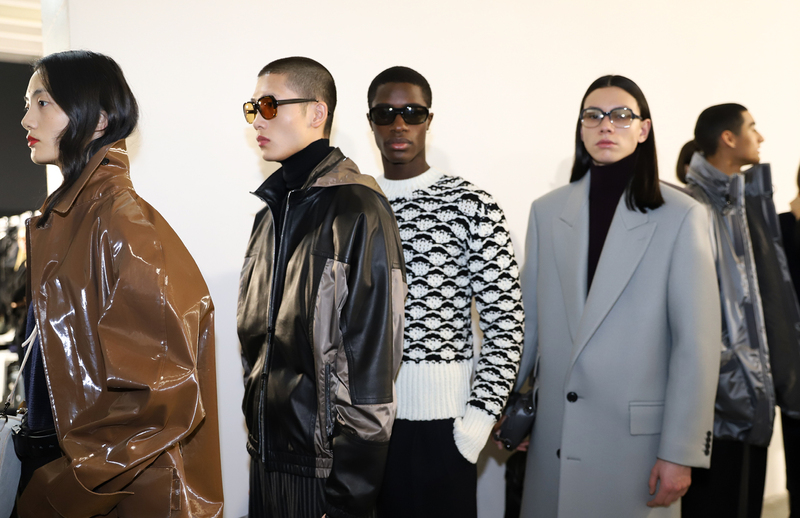 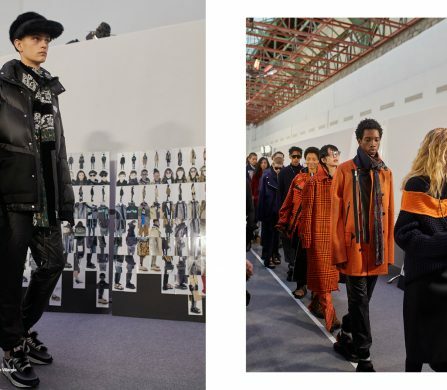 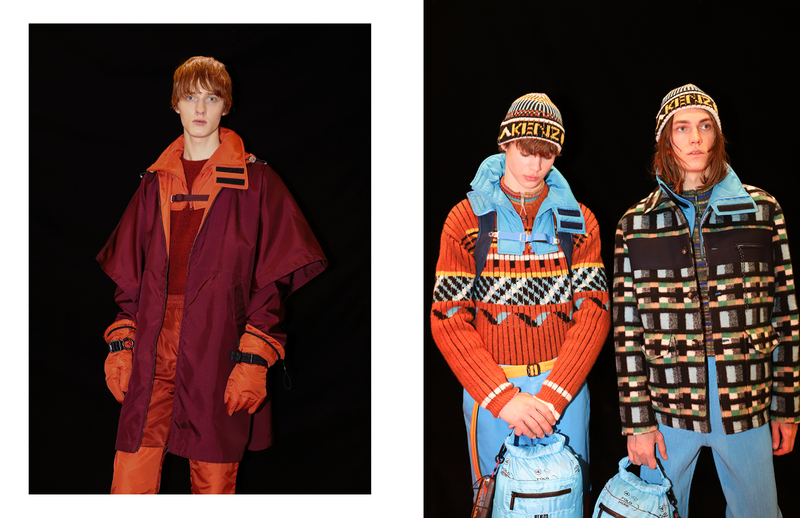 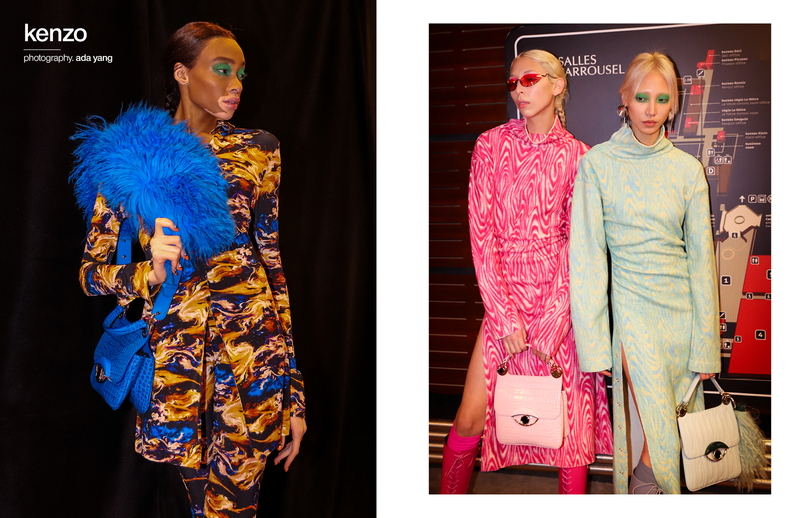 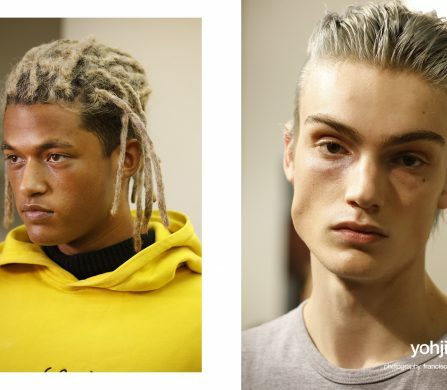 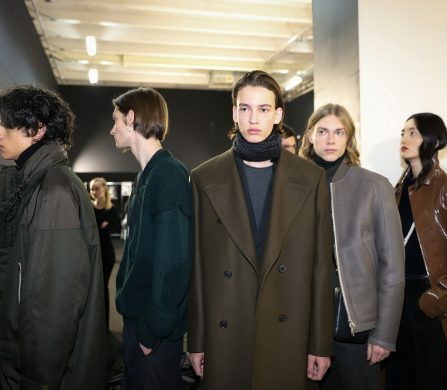 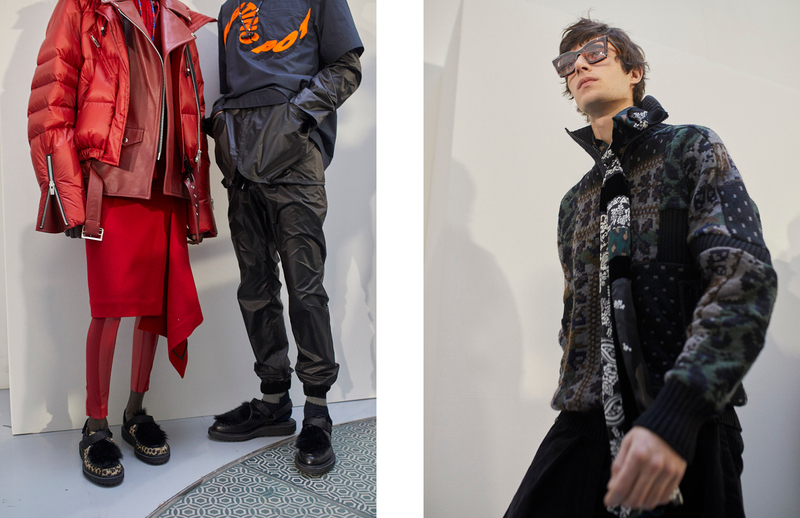 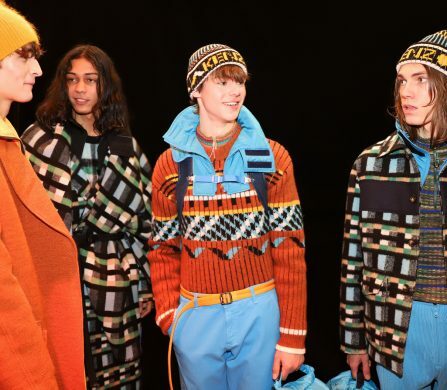 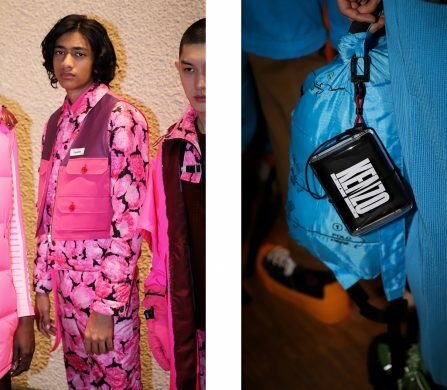 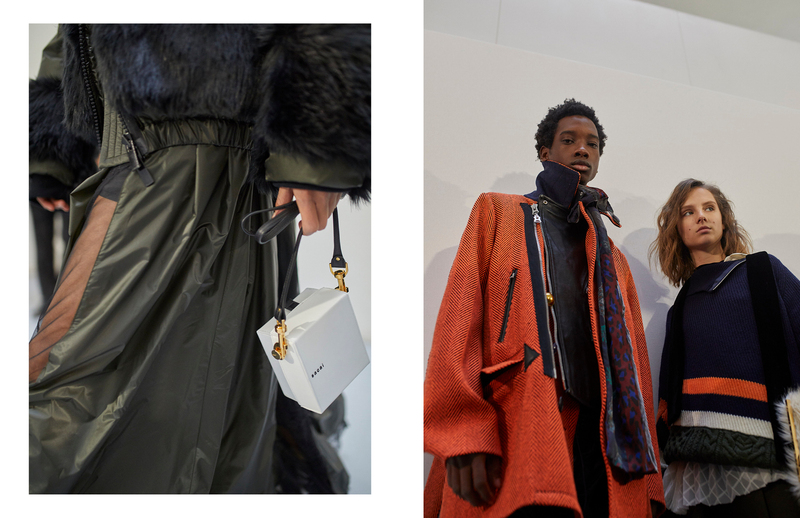 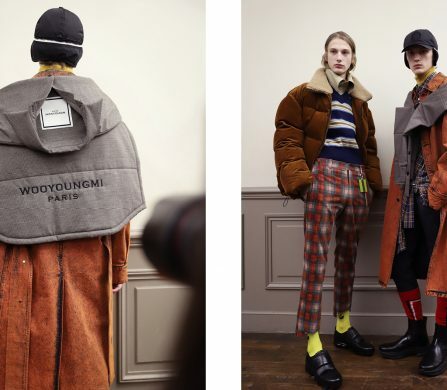 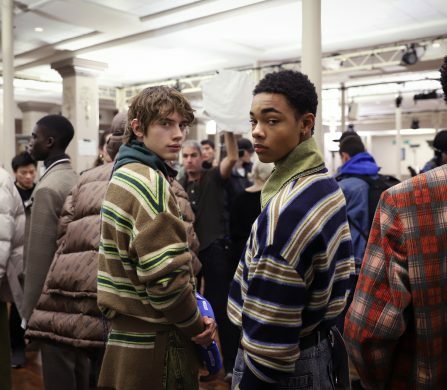 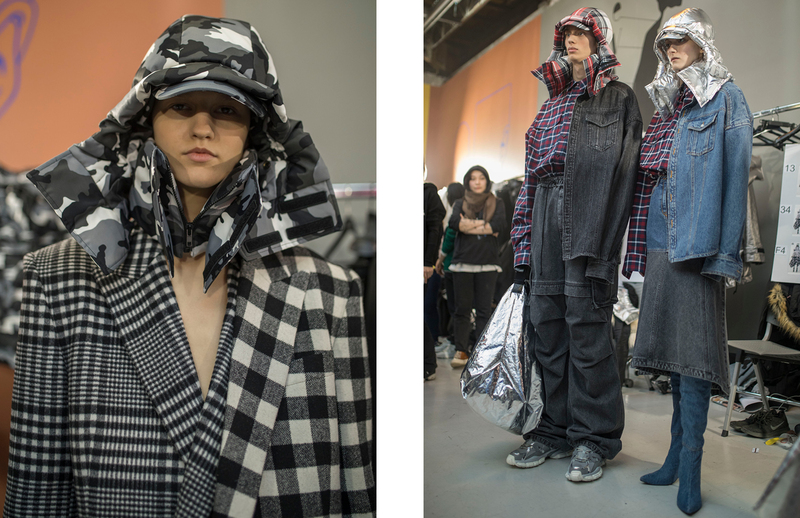 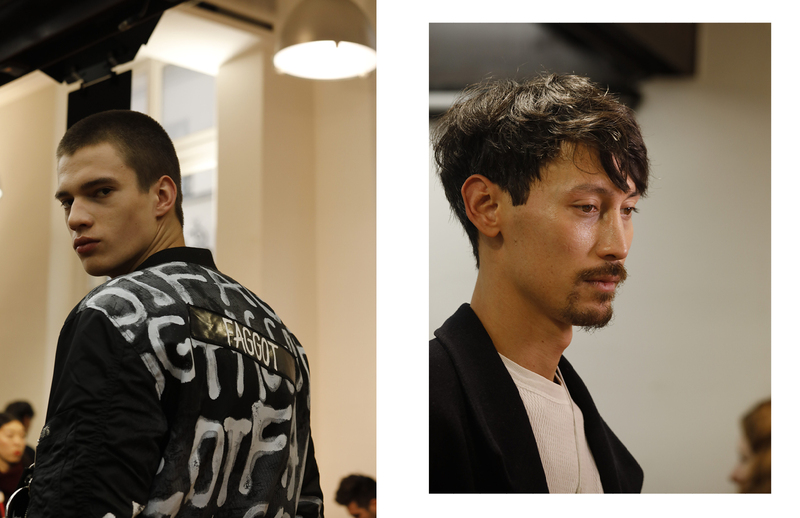 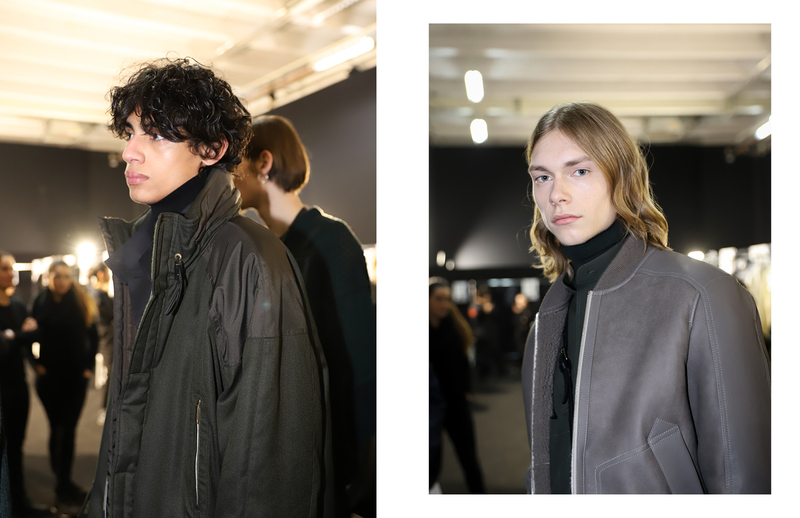 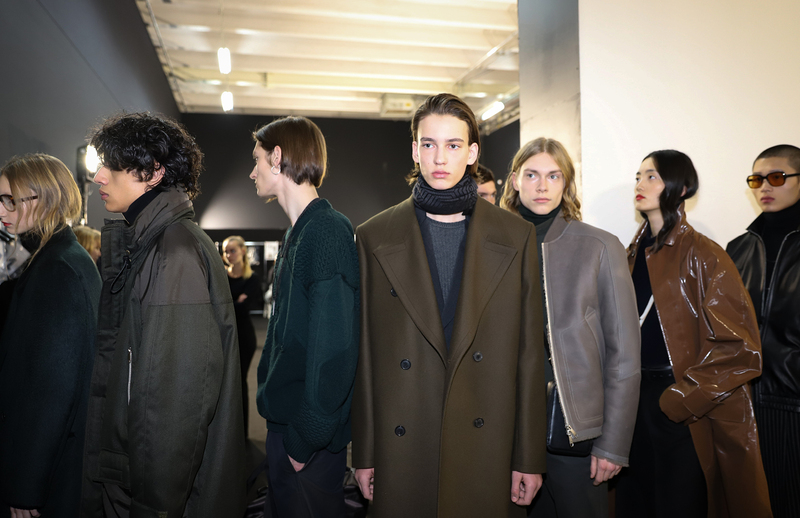 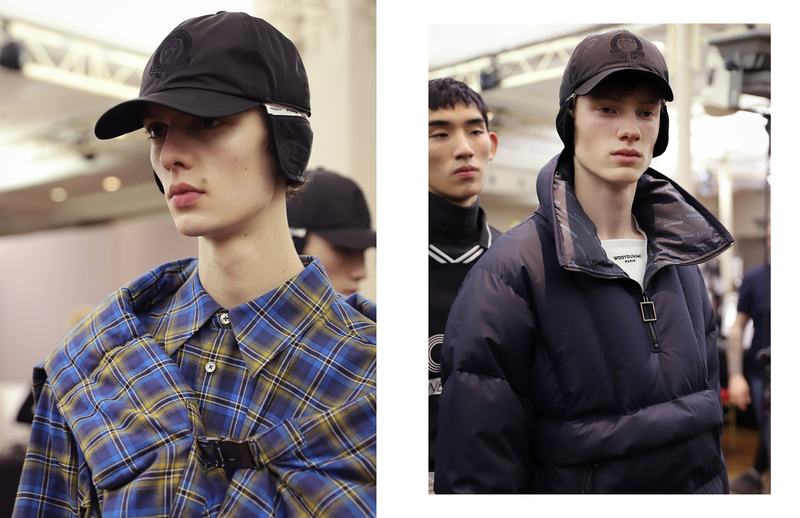 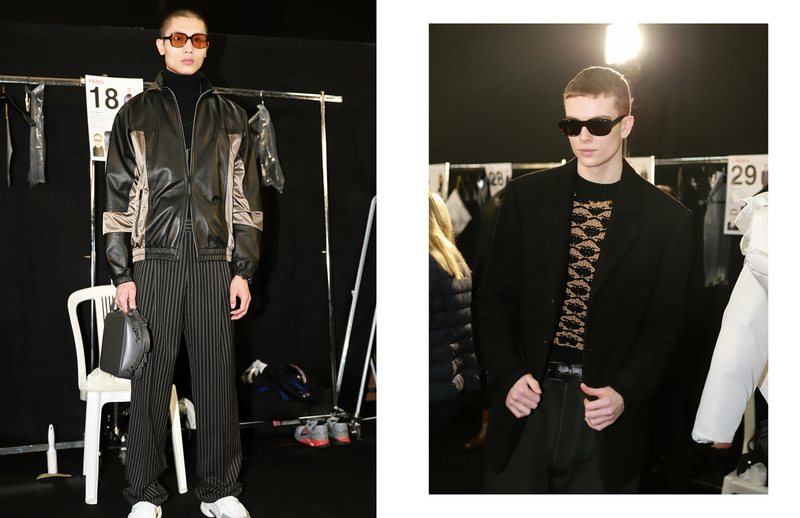 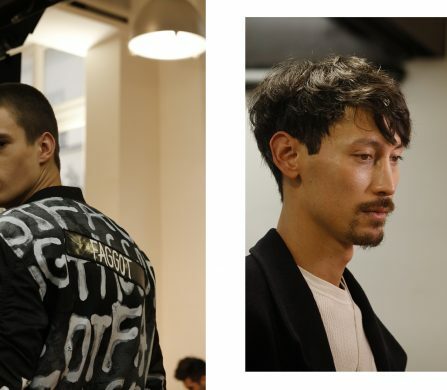 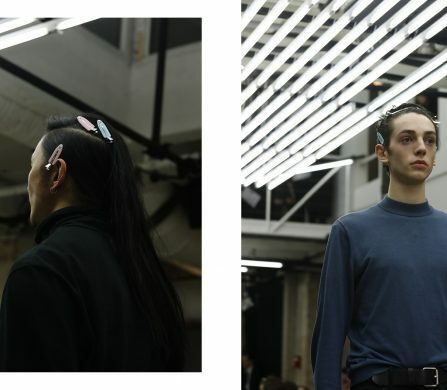 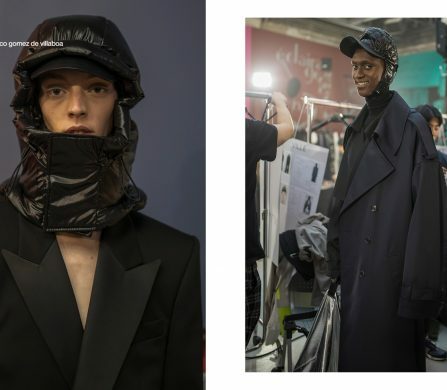 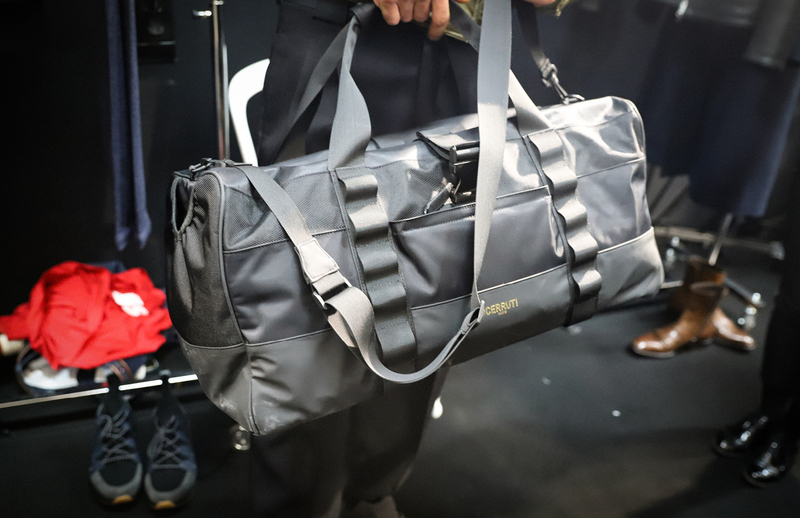 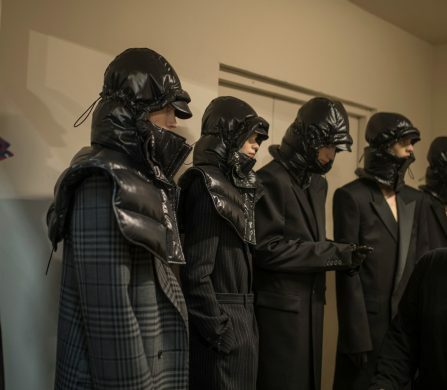 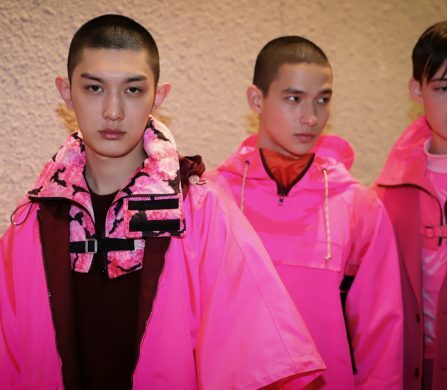 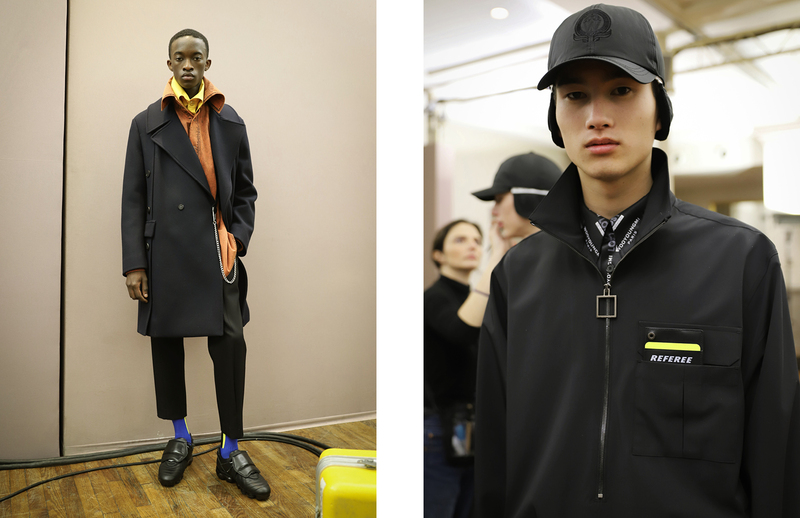 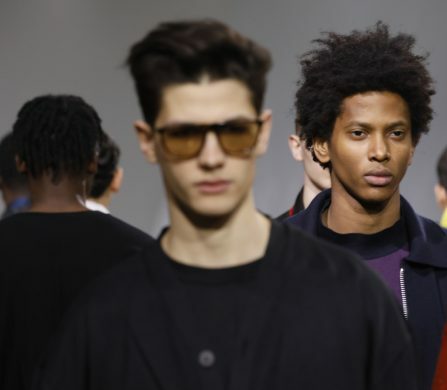 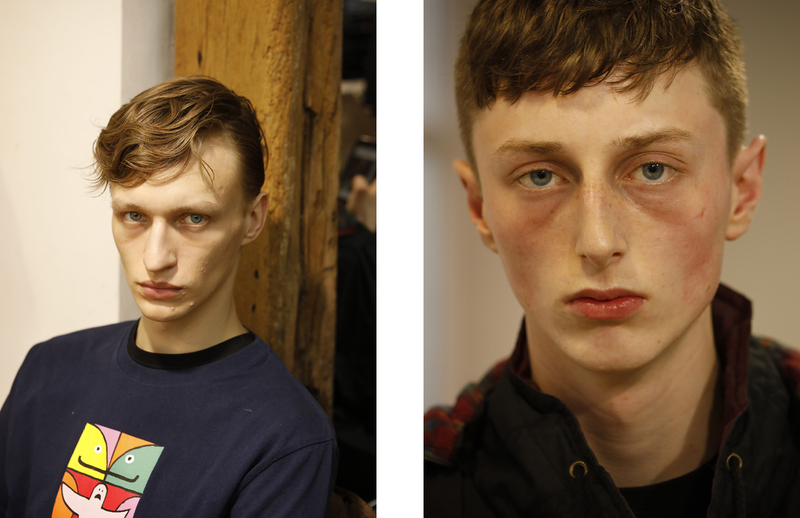 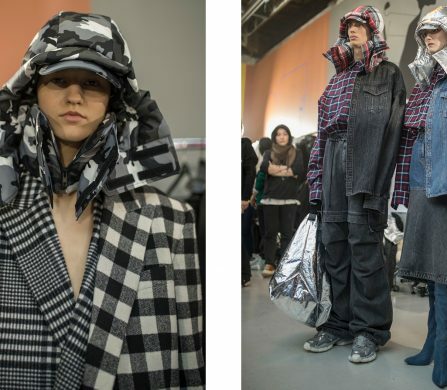 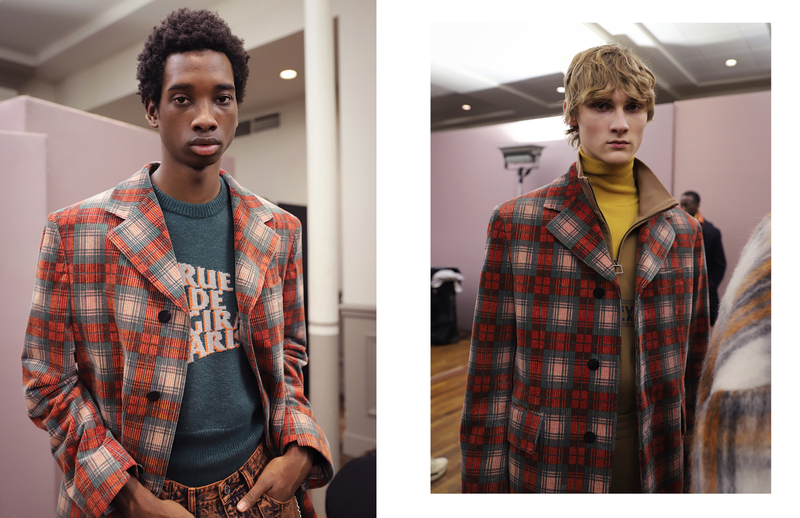 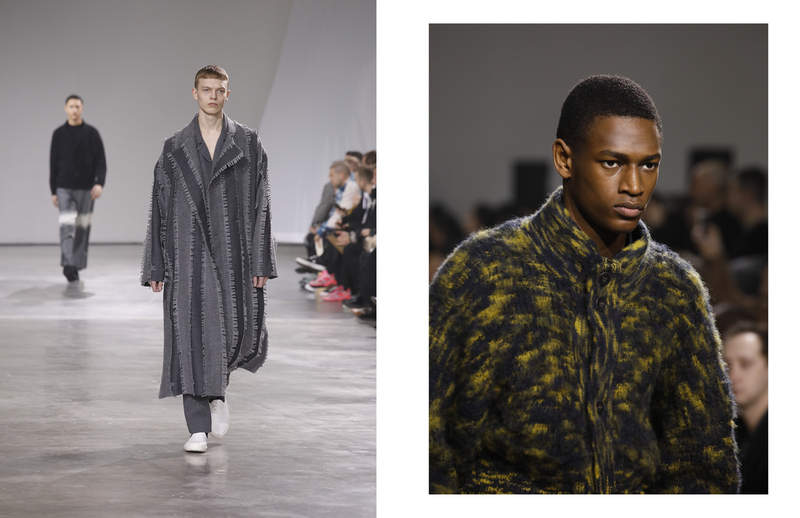 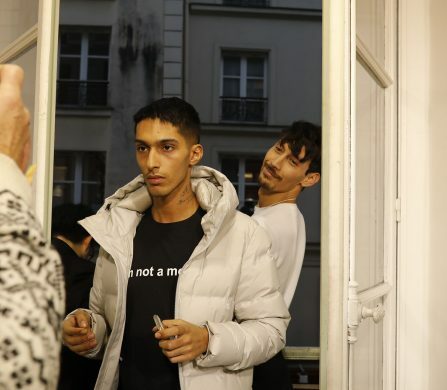 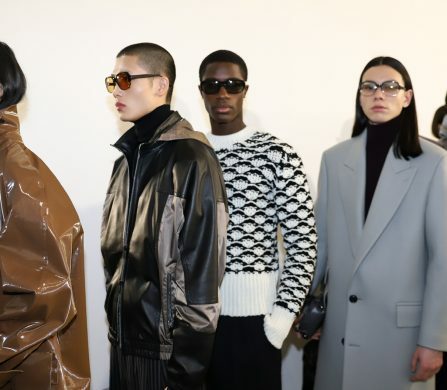 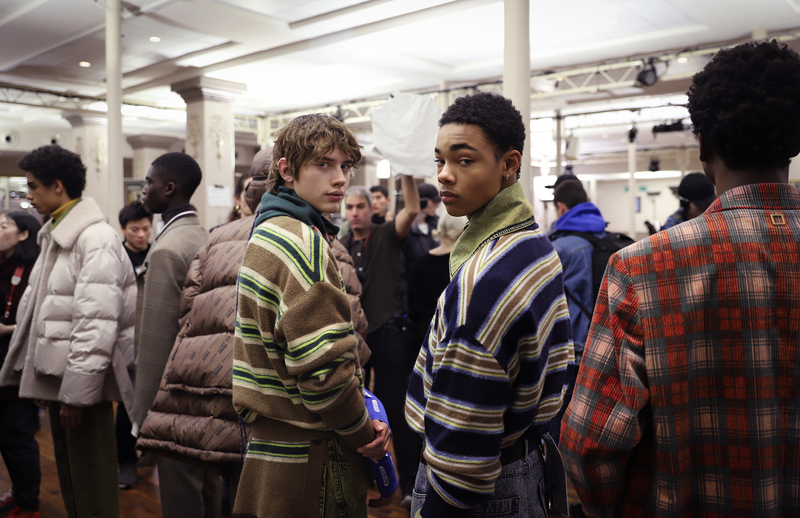 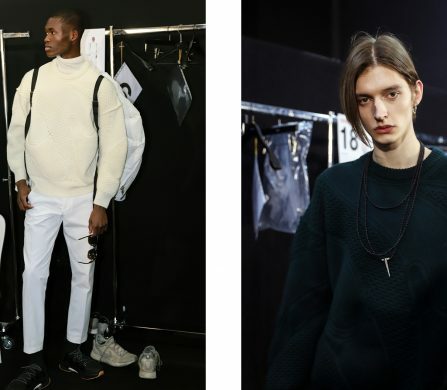 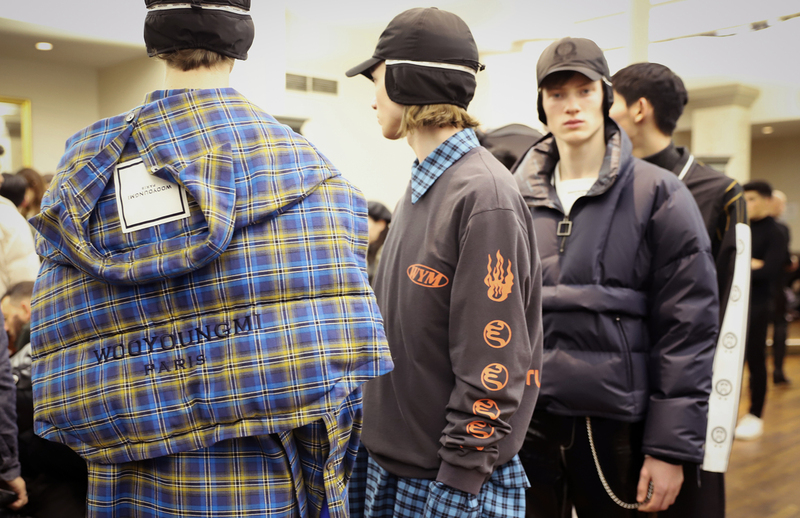 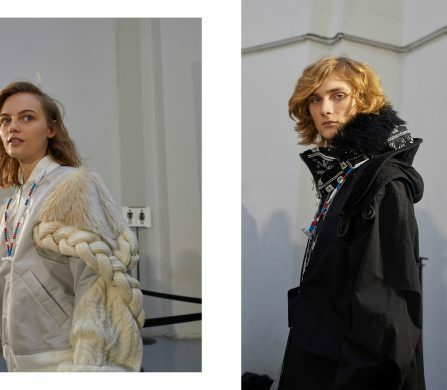 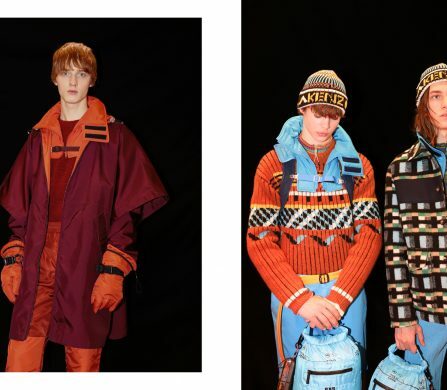 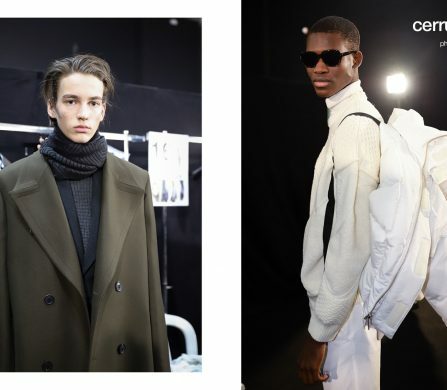 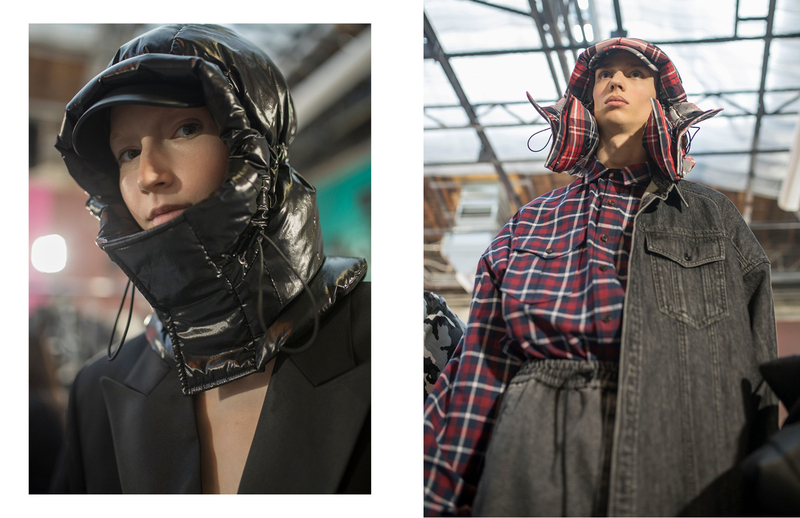 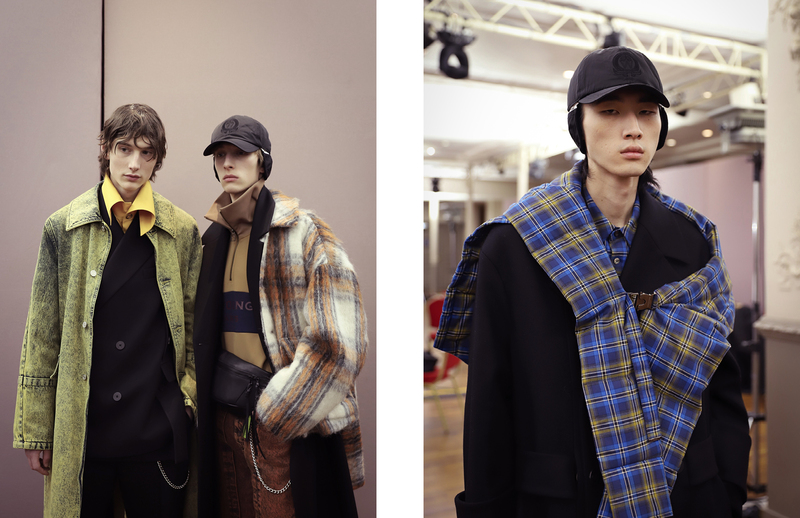 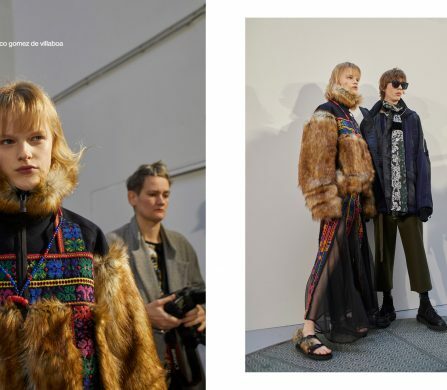 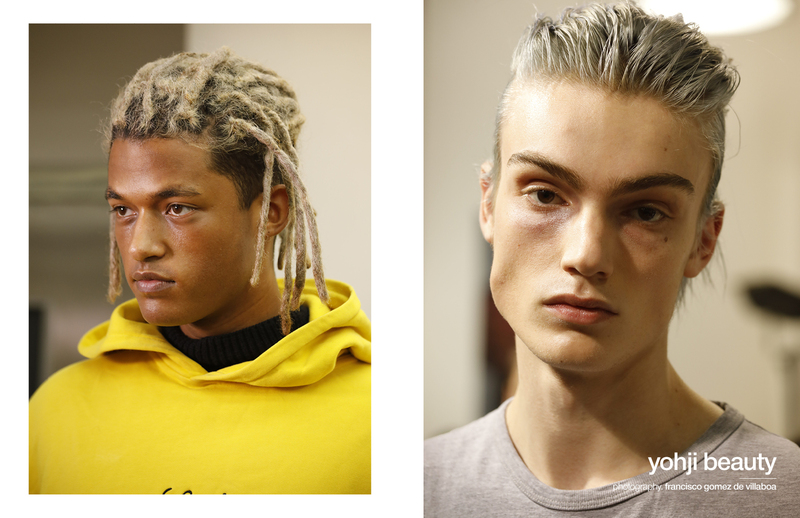 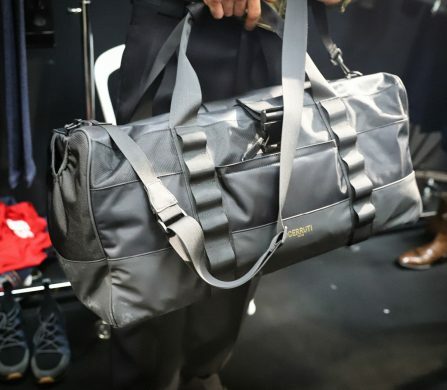 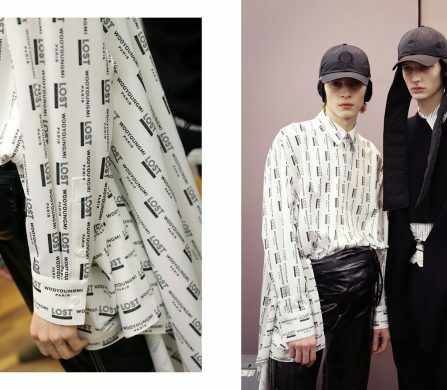 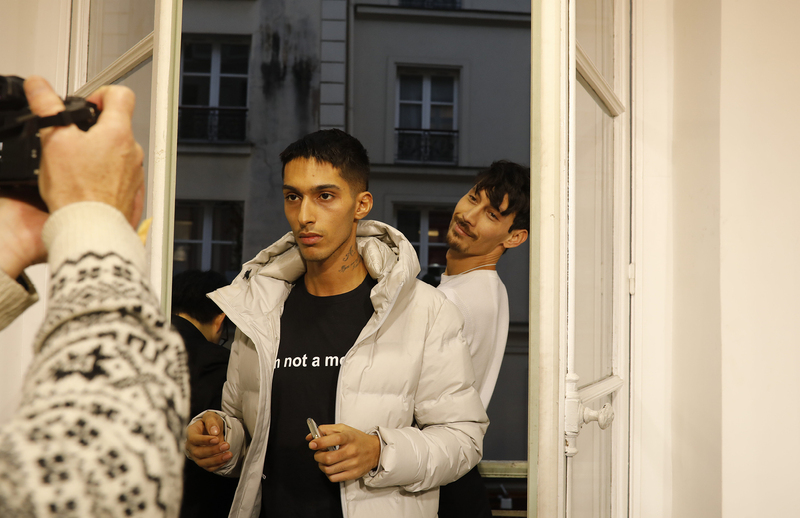 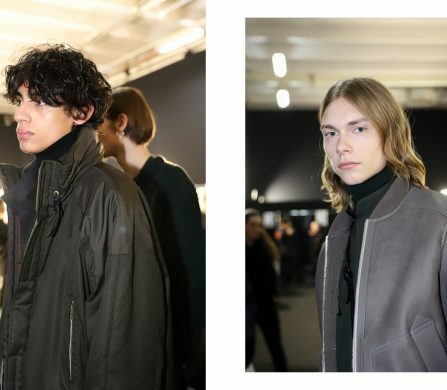 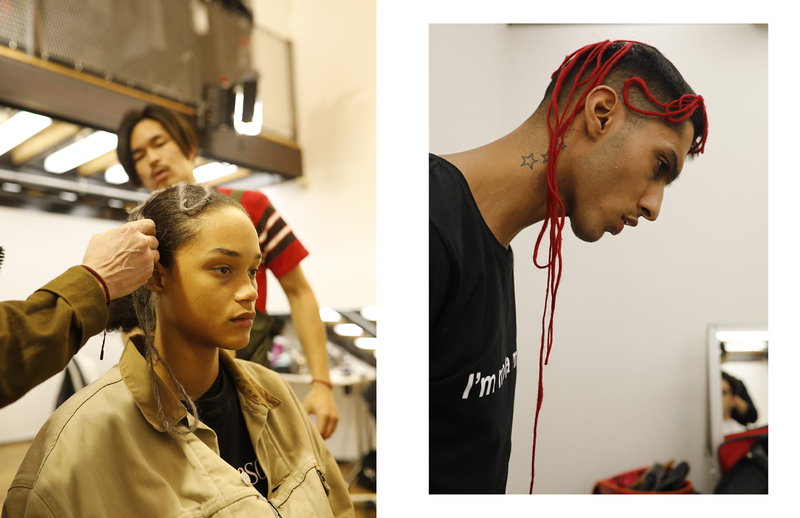 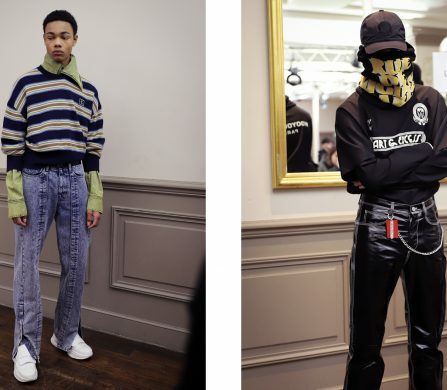 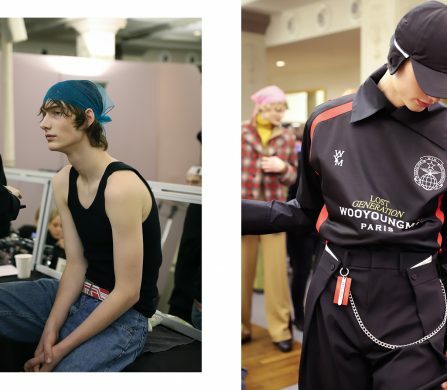 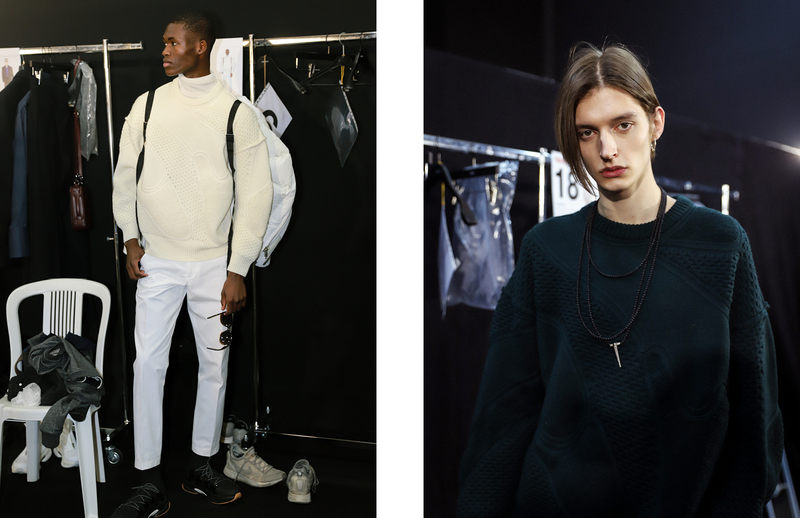 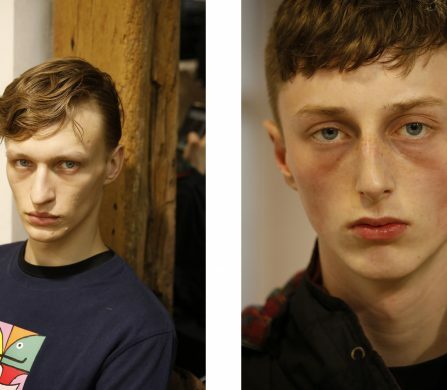 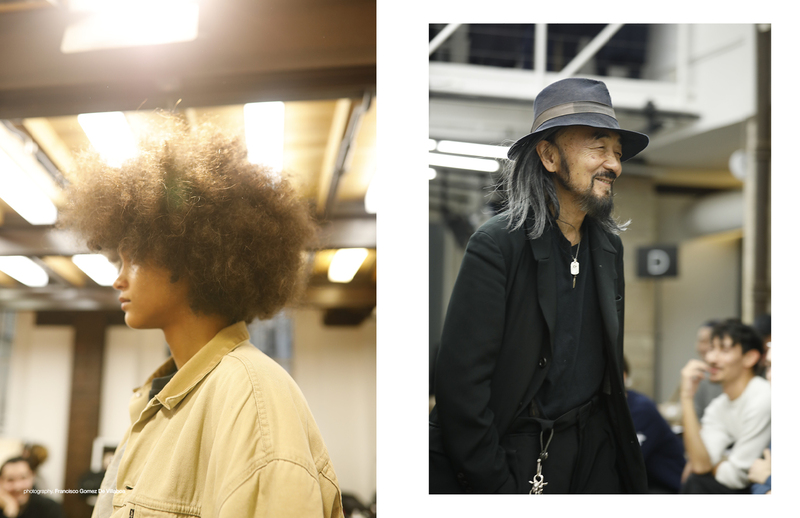 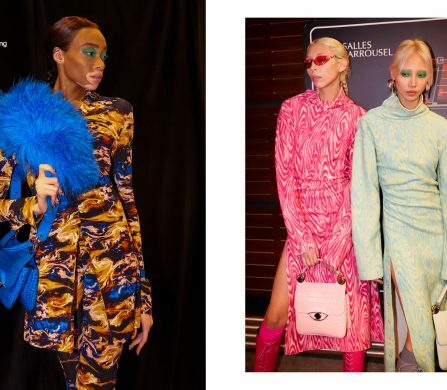 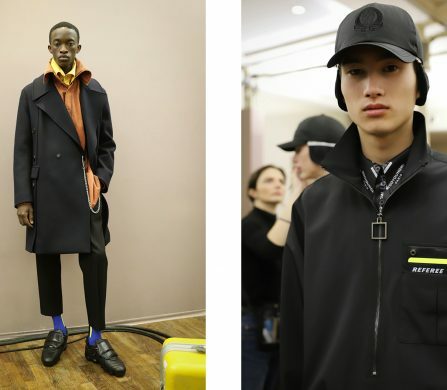 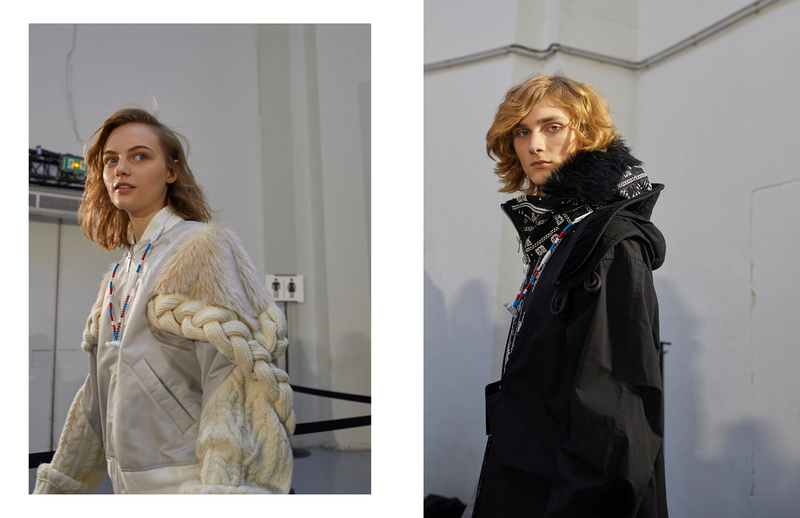 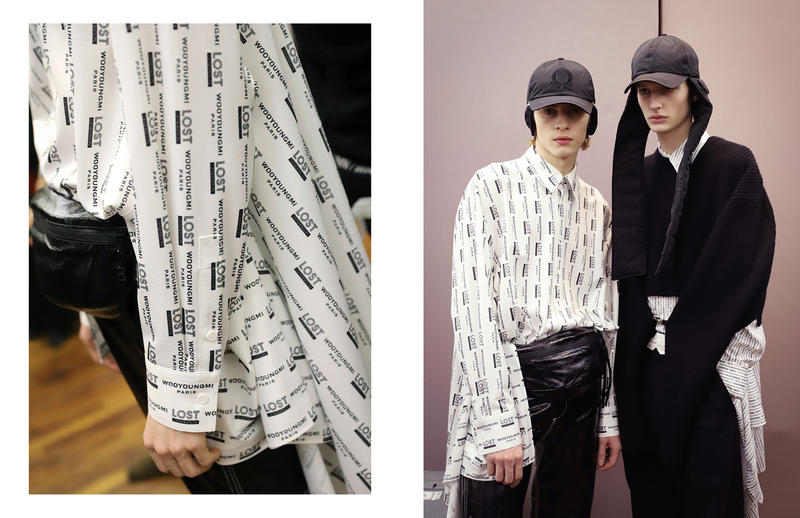 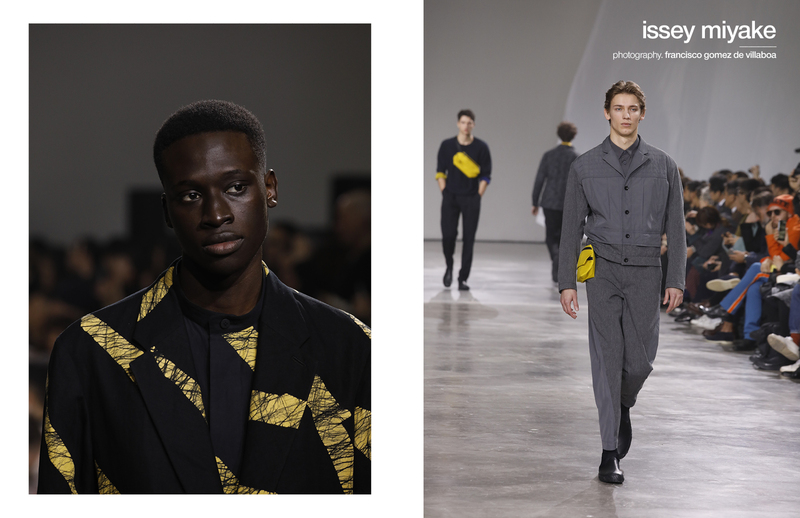 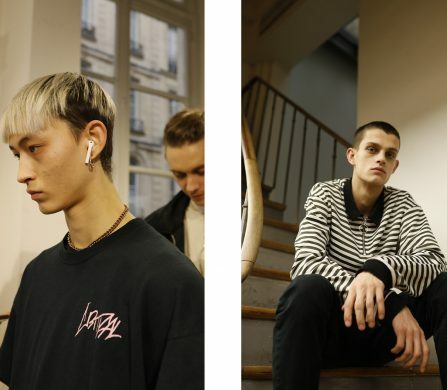 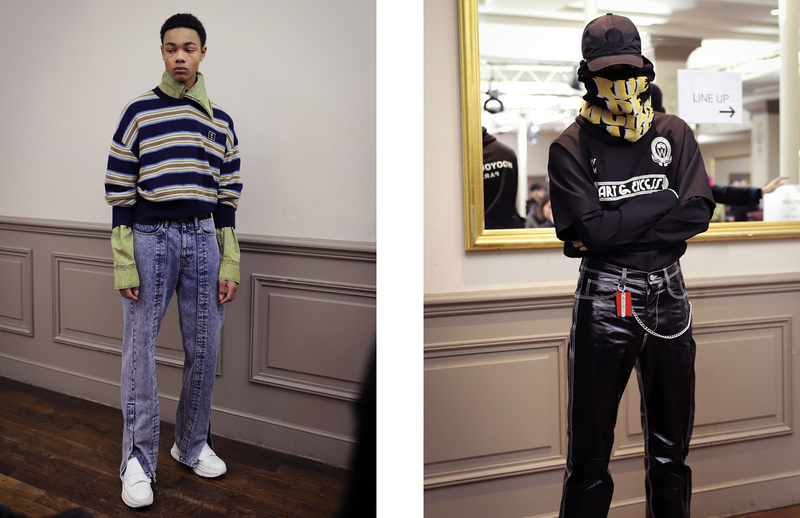 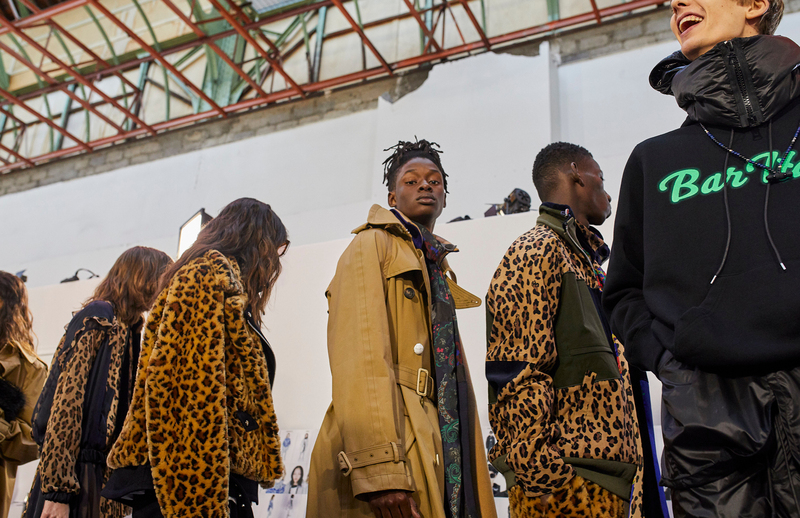 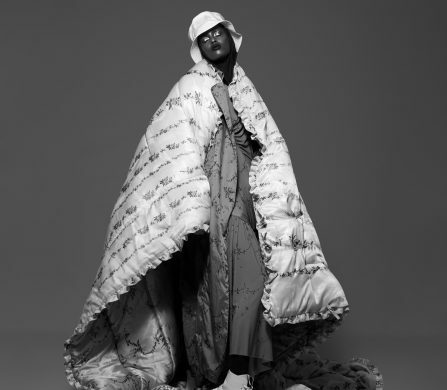 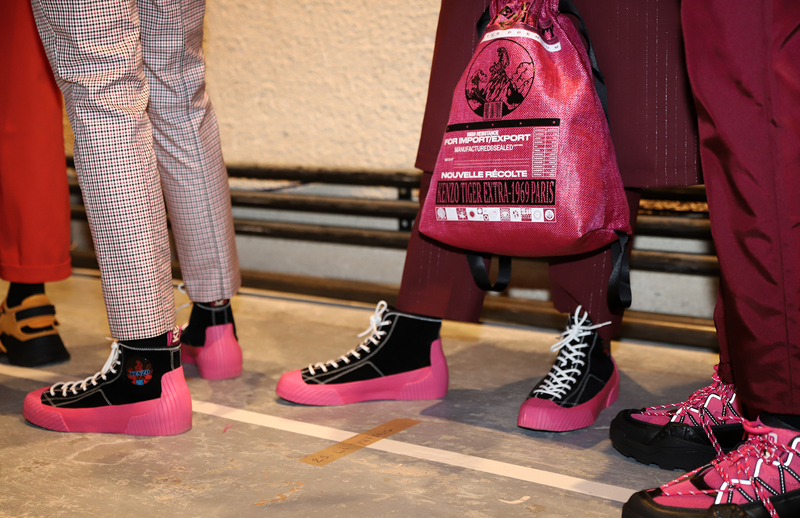 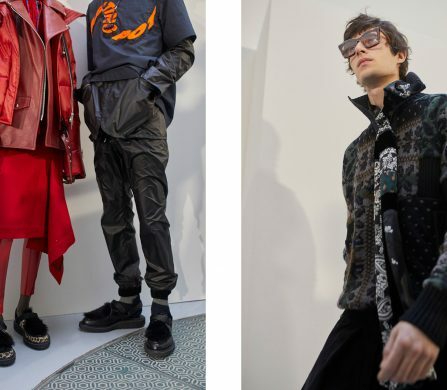 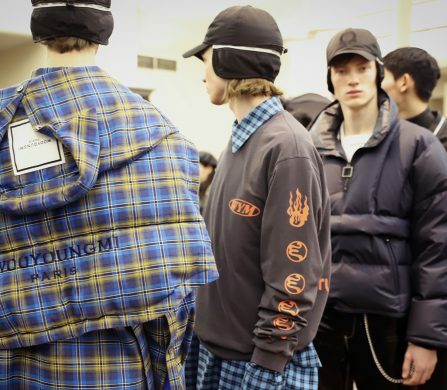 and photographers Francisco Gomez de Villaboa and Ada Yang take you backstage at Paris Fashion Week Men’s to give you a hands-on opportunity to soak in the backstage buzz from the Paris season and get the full scope on the best catwalks. 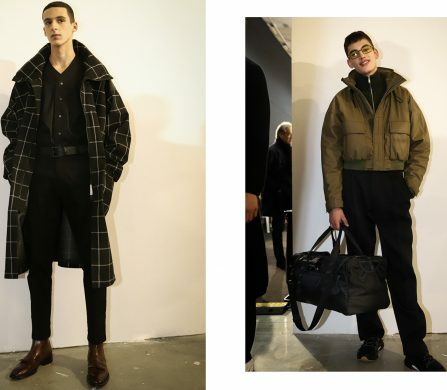 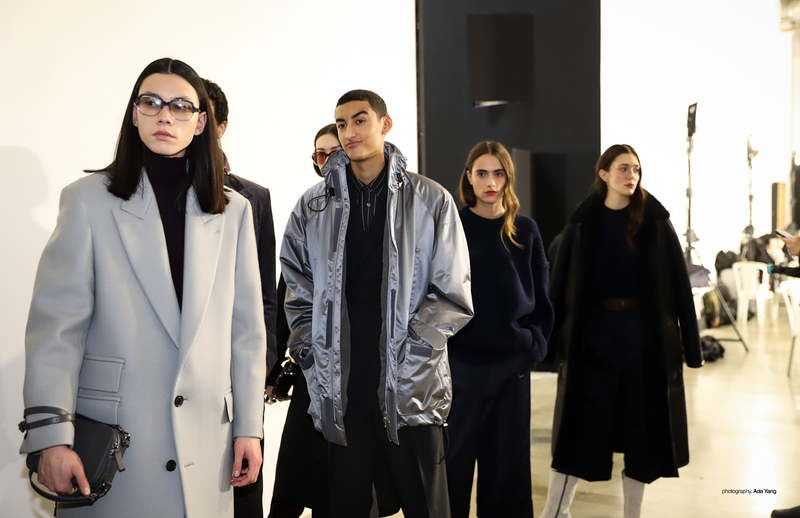 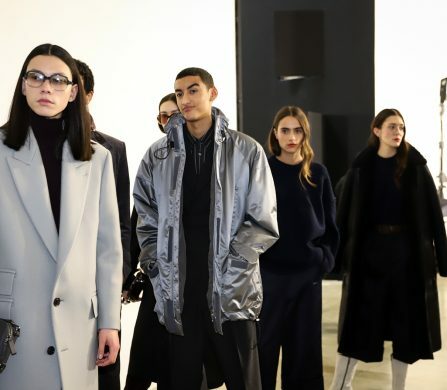 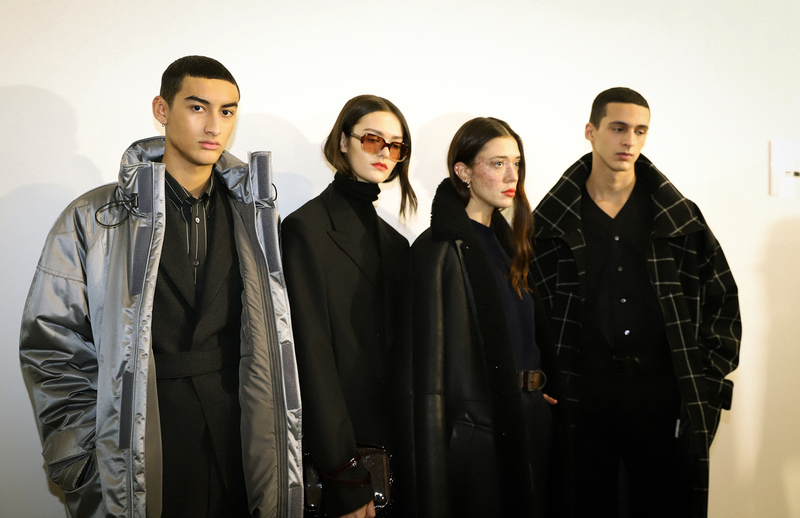 Cerruti‘s AW19 menswear show did not disappoint. 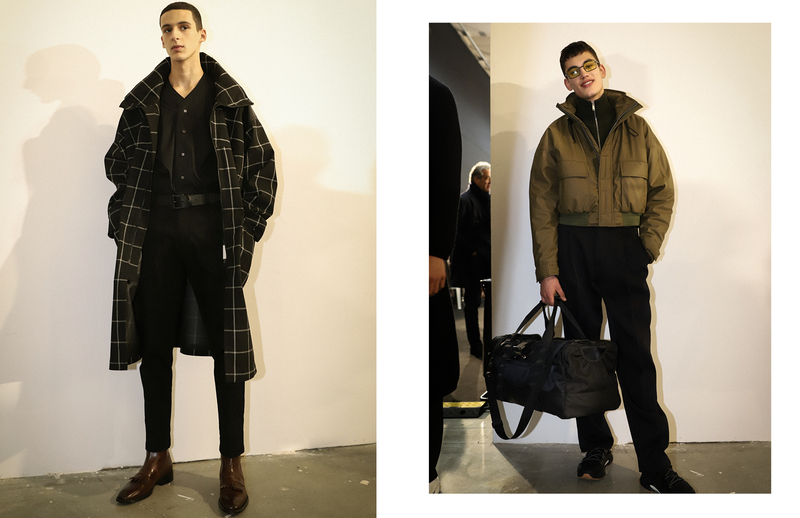 Once again, Jason Basmajian sent a collection of tailored silhouettes down the runaway. 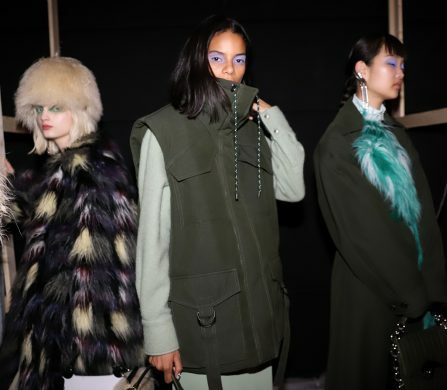 With a predominantly muted palette, Basmajian managed to wittily play with texture and layers to create the ultimate winter wardrobe. 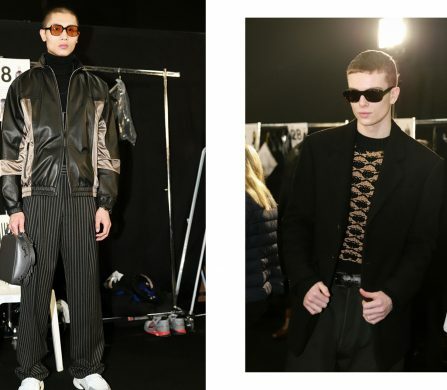 Pinstripes suits and khaki bomber jackets stole the show walking down the runaway but asymmetric cuts and a splash of leather also made a deserved appearance. 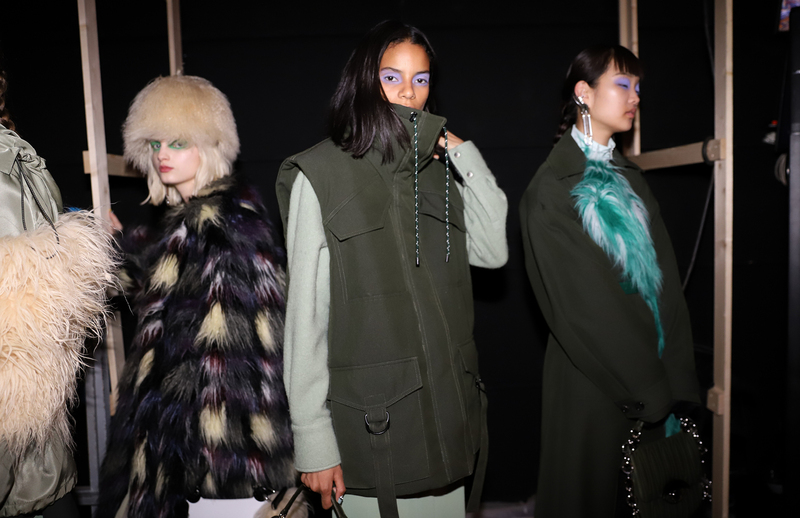 With this season’s collection, Basmajian refines the Maison’s heritage with an urban and contemporary twist in which sportswear meets tailoring. 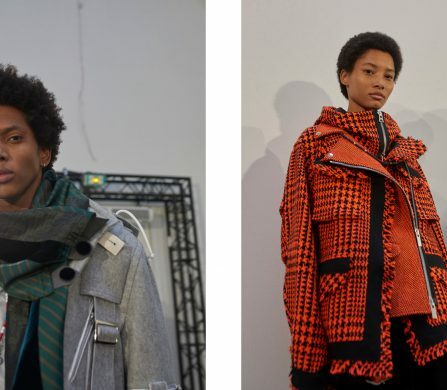 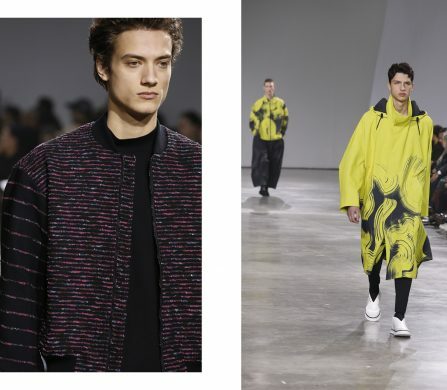 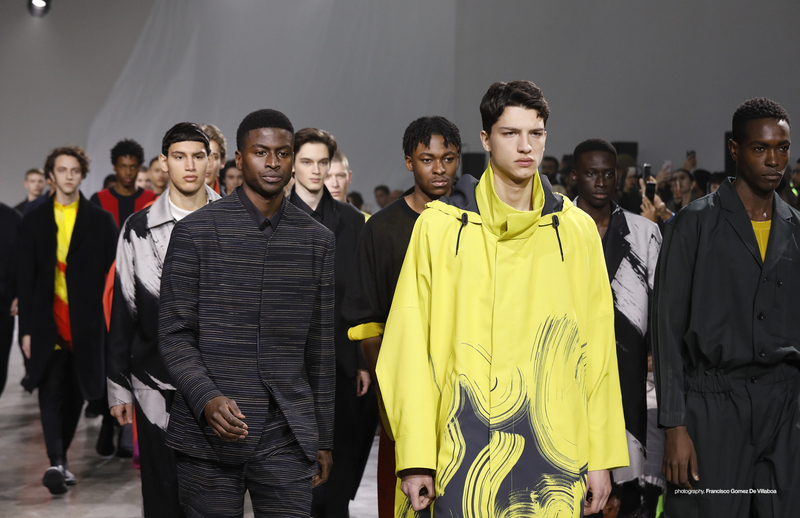 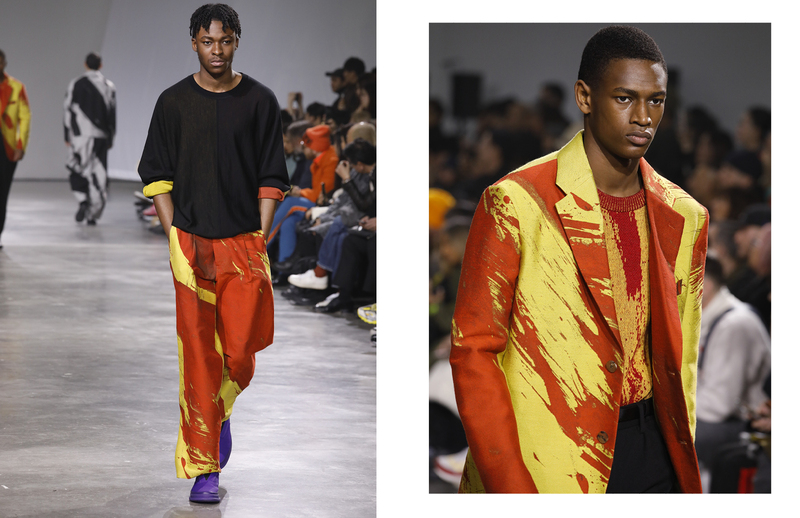 At Issey Miyake, designer Yusuke Takahashi presented a colourful collection that had all of Miyake’s own trademark elements: tailoring, structure and simplicity. 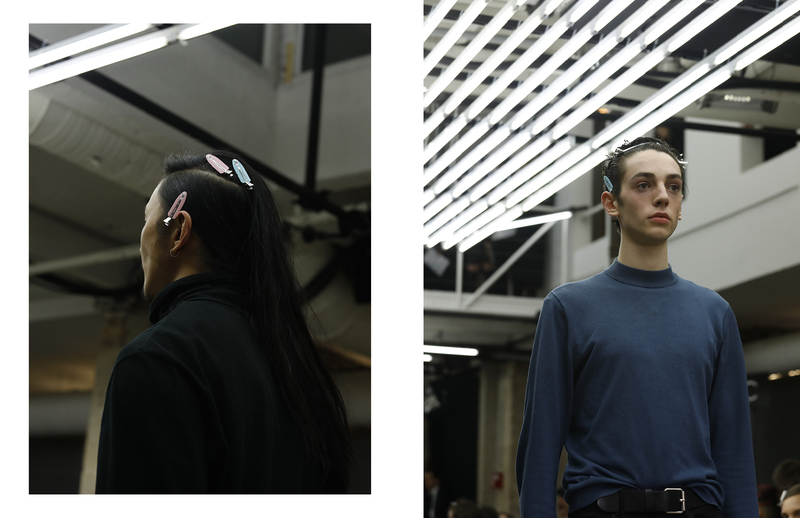 With the minimalist approach, Takahashi created a clean yet practical and vivid presentation. 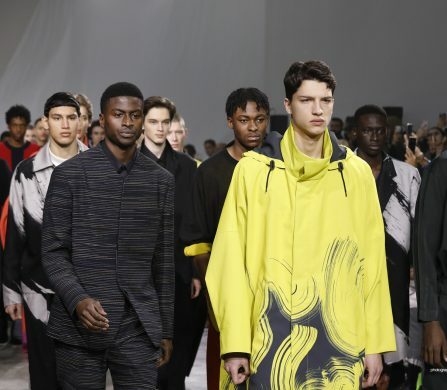 The selection of fabrics was exquisite, faithful to the Japanese Maison’s ways, but drifted a bit from the structured silhouettes Miyake had us accustomed to, leading way to a collection that flowed a bit more than the usual — in every sense of the word. 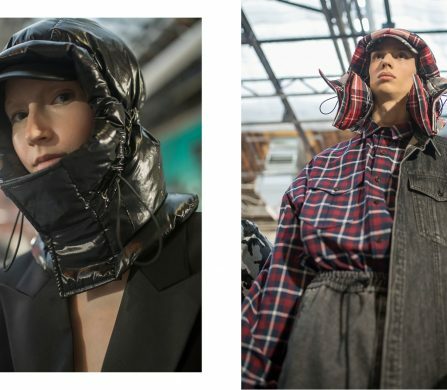 Named “Feeling the Wind,” the airiness of the inspiration made its way to the garments and the natural elements were, once again, dutifully represented within the urban setting. 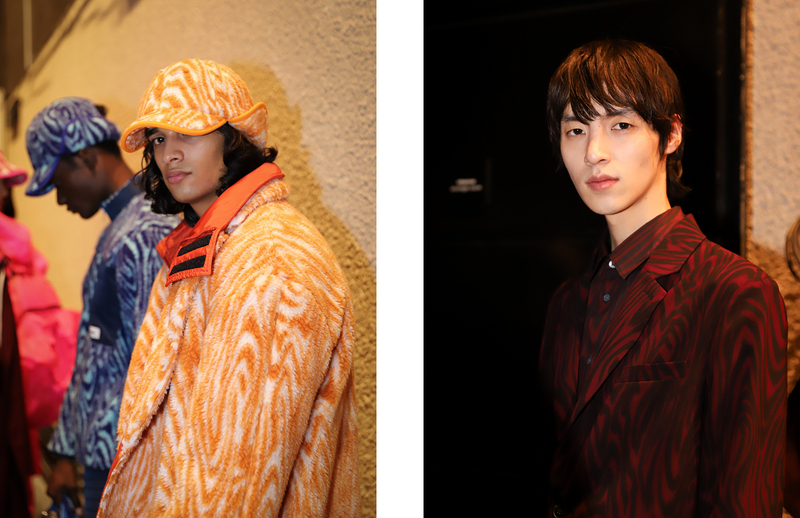 Takahashi’s magnificent use of patterns remains in line with the Maison’s archival repertoire. 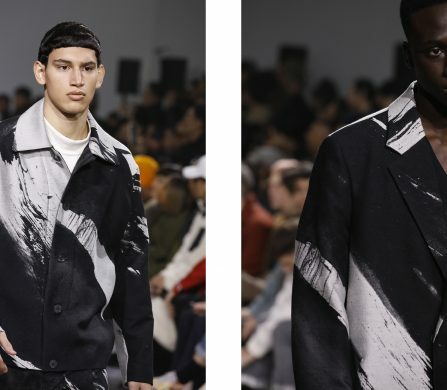 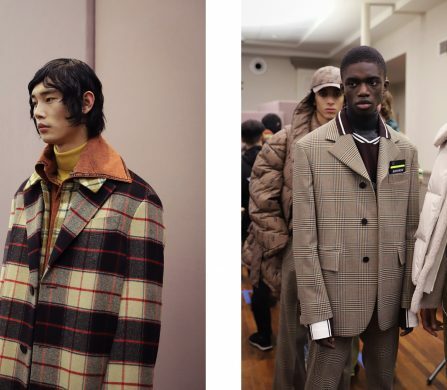 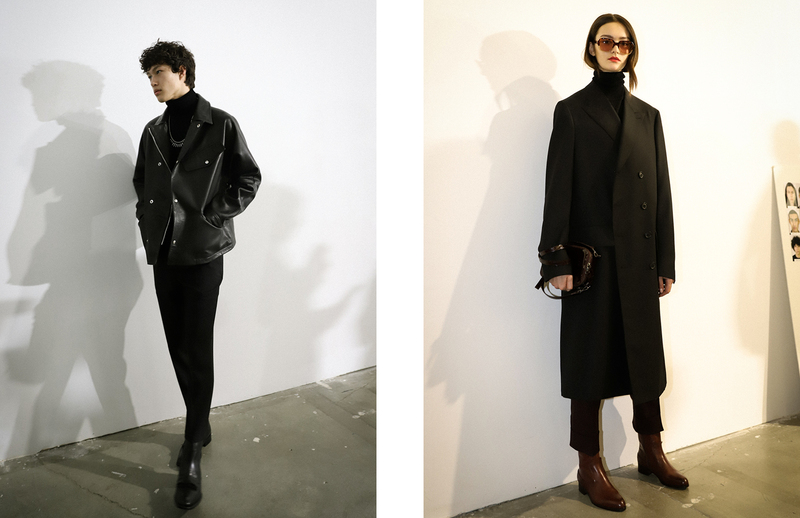 JUUN.J‘s AW19 collections danced between the lines of deconstructed sportswear and classic tailoring. 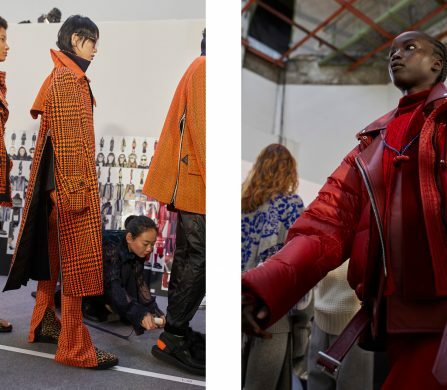 The South Korean designer presented a collection that was, as expected, innovative and experimental with a genderless approach. 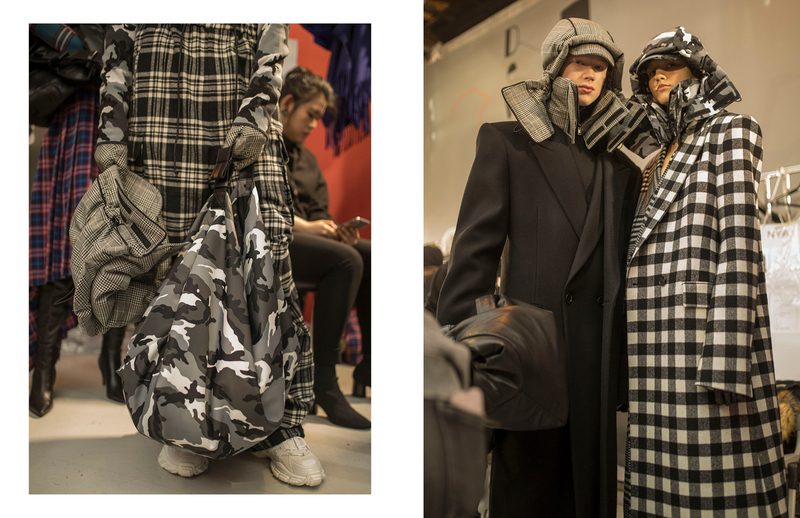 Though with a prevailing black colour palette, colour made its way into the garments in the form of tartan and camouflage patterns. 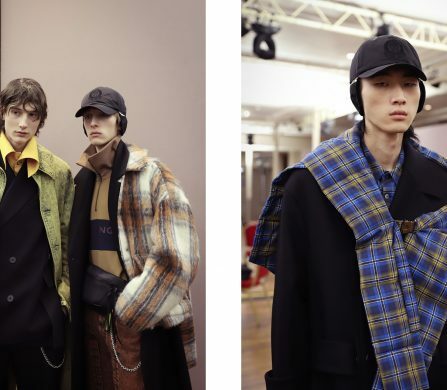 JUUN.J’s pieces clashed in patterns, materials and textures but these all made up a cohesive collection, where volume and asymmetry took centre stage. 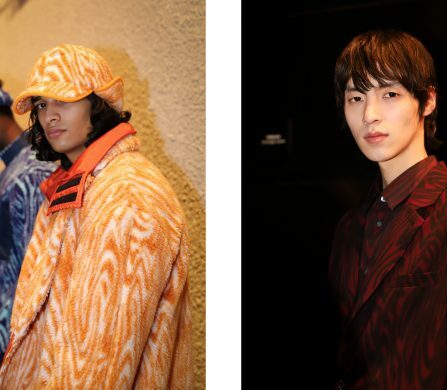 Humberto Leon‎ and Carol Lim‎ delivered once again at Kenzo. 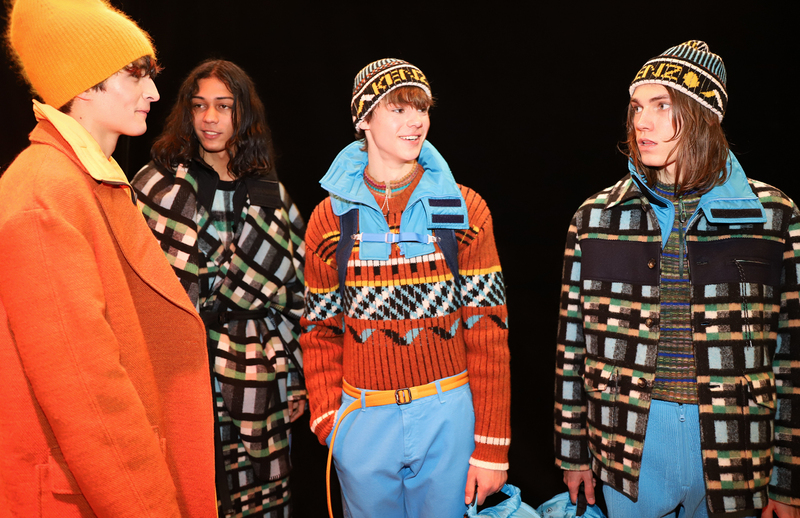 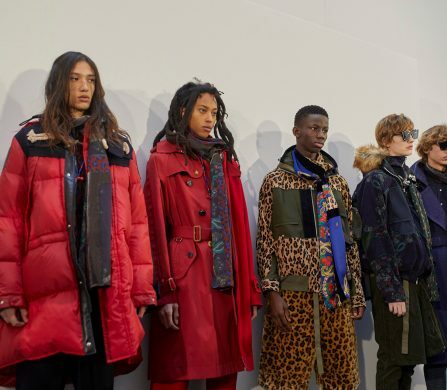 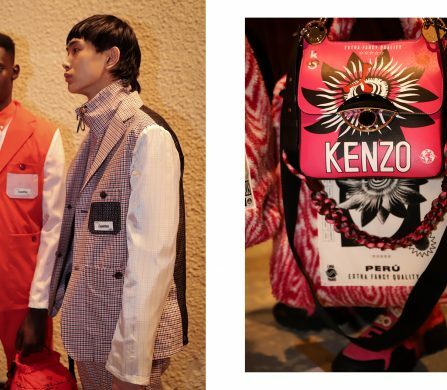 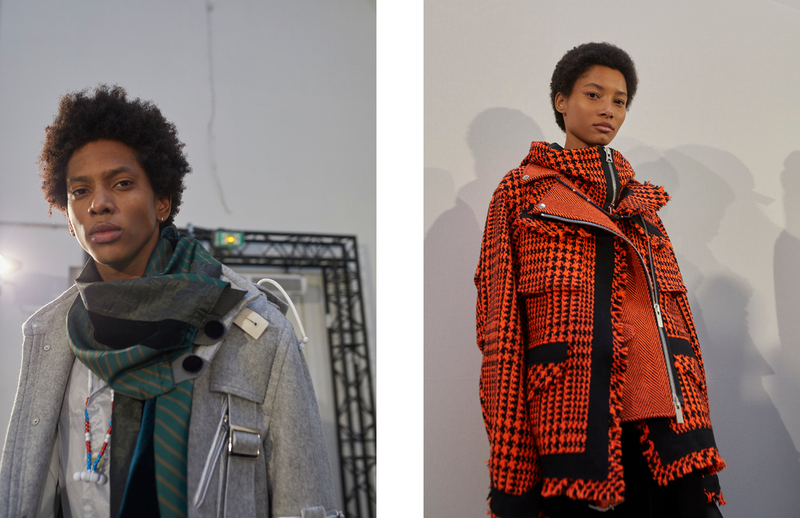 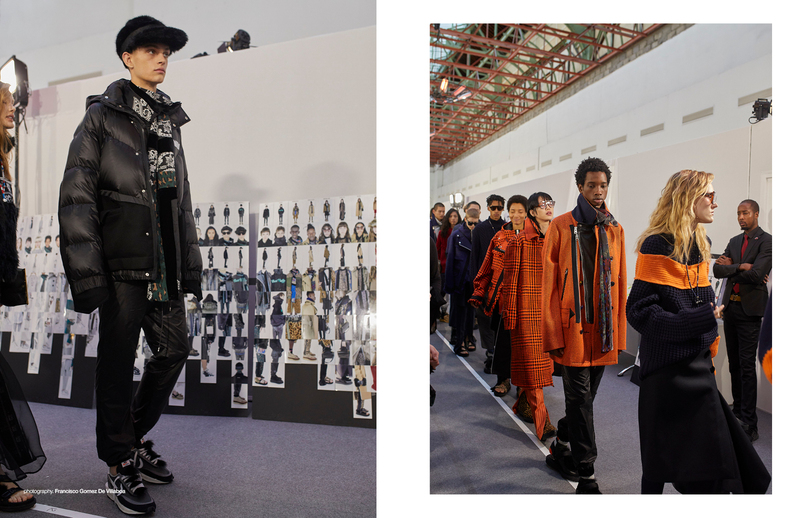 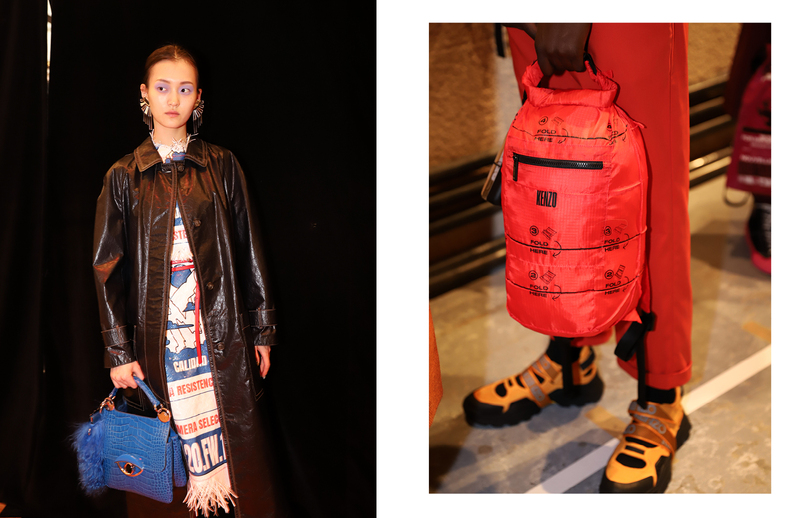 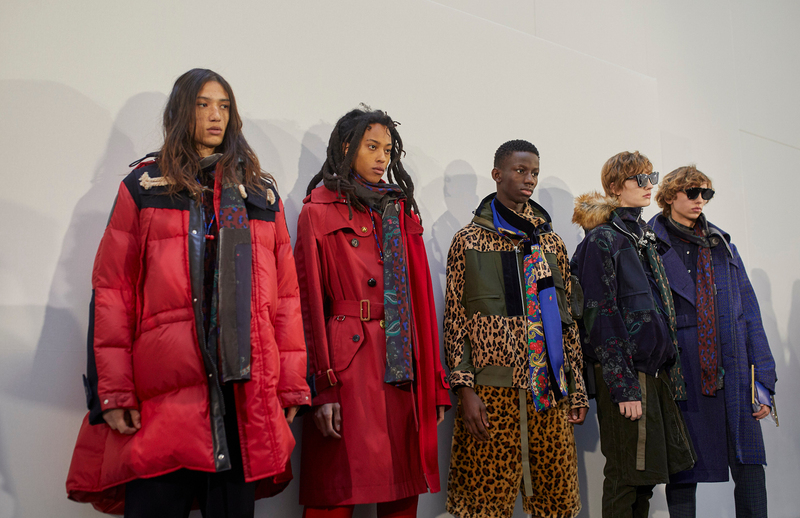 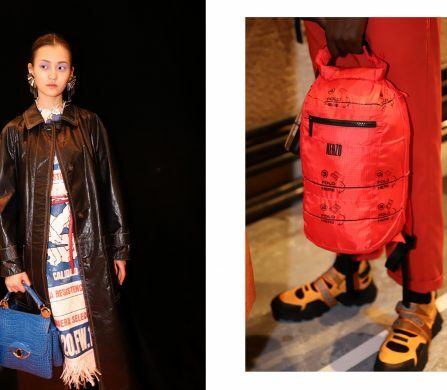 In line with the French-Japanese Maison’s ethos, the pair presented a fresh collection comprised of sport-inspired and utilitarian pieces, with the Kenzo twist. 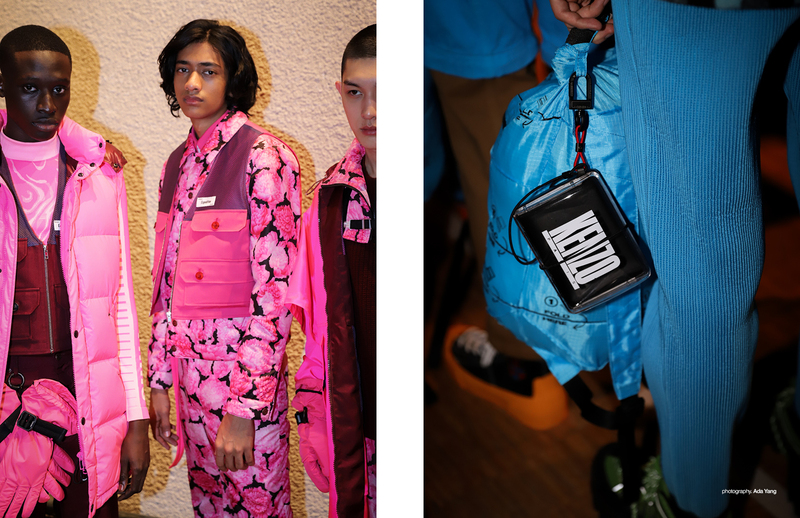 Both the clothes and accessories exploded with colours only Kenzo could pull off: from the brightest fuchsia to the deepest blue. 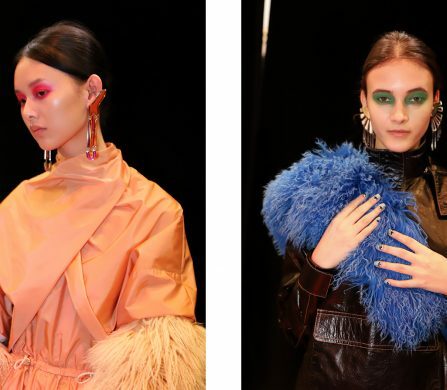 The main inspiration behind the collections was Leon’s Chinese-Peruvian heritage and this was aptly on show in every single piece and extended to the show’s own setting, which showcased the oeuvre of late Peruvian visual artist Pablo Amaringo. 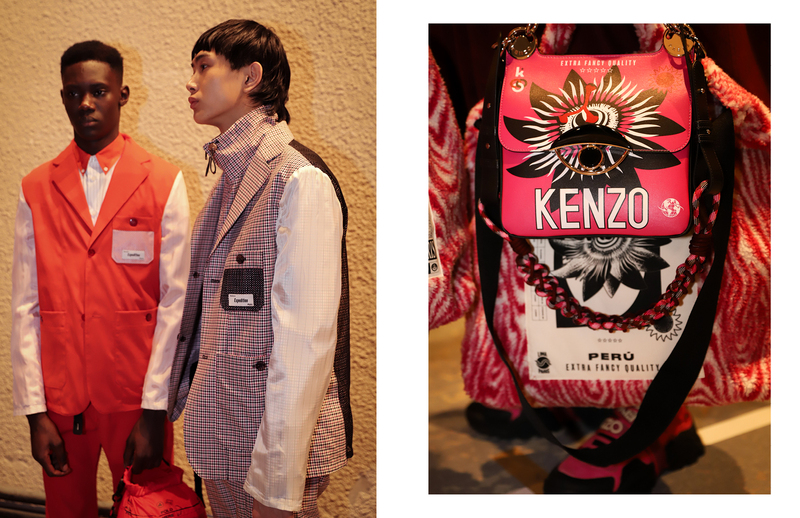 Of course, the collection wouldn’t be complete without Kenzo’s now trademark graphic elements. 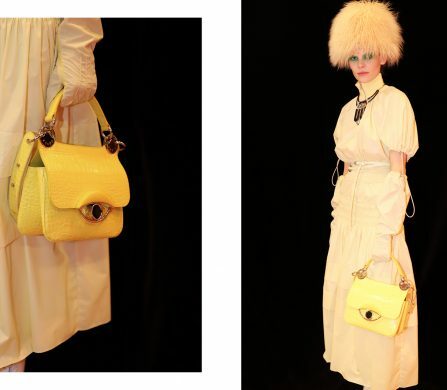 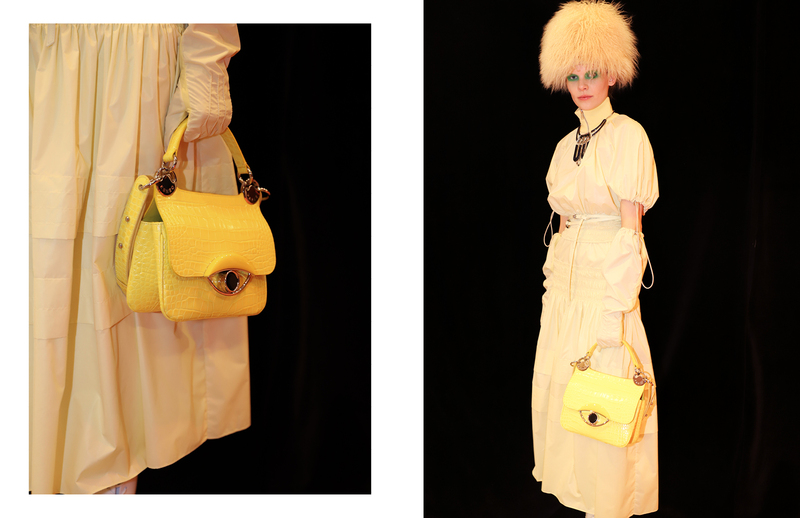 In all, Humberto Leon‎ and Carol Lim‎ showed heart, presenting a collection that was rife with structure yet screamed fun. 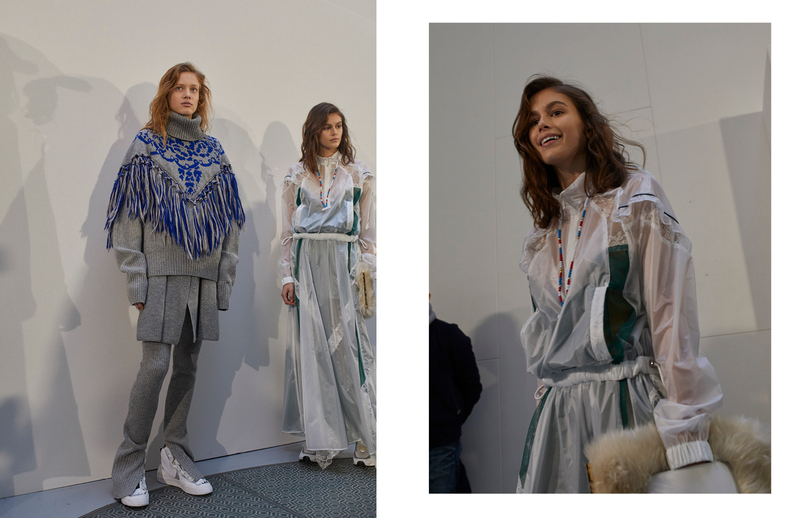 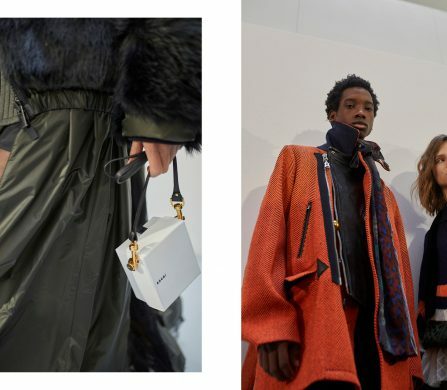 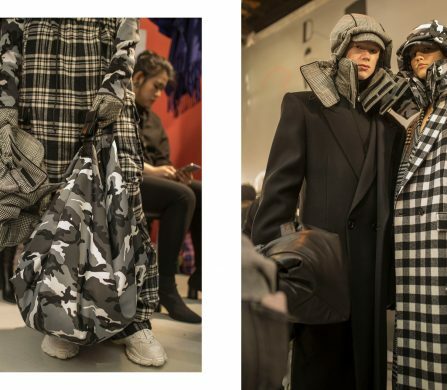 Despite hardships, many made pilgrimage to the Grand Palais for Sacai‘s AW19 show, opened by none other than Kaia Gerber. 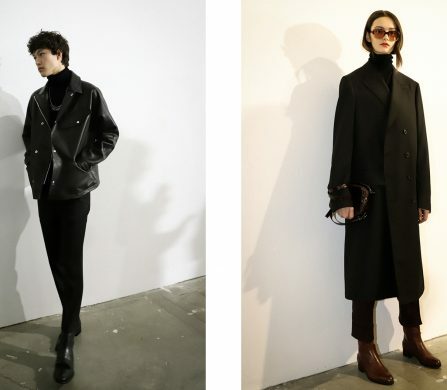 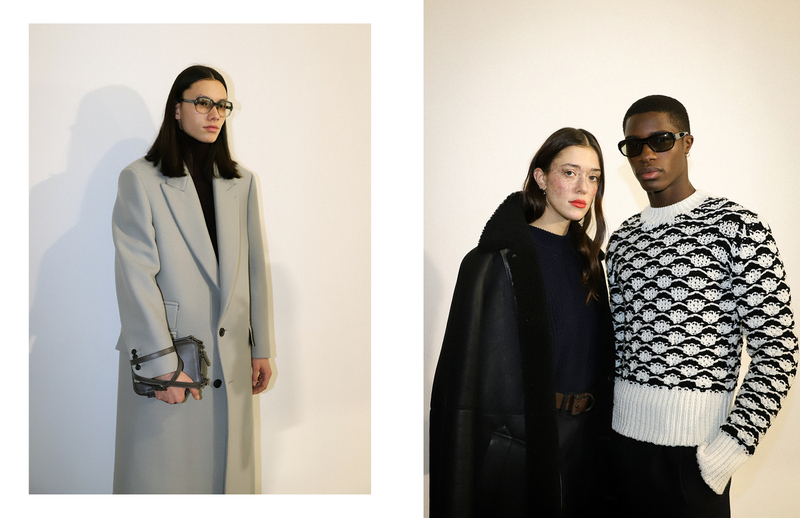 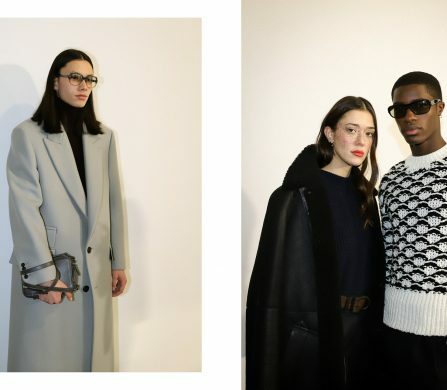 Chitose Abe aptly chose a wintery palette to show in both the brand’s menswear and pre-fall womenswear. 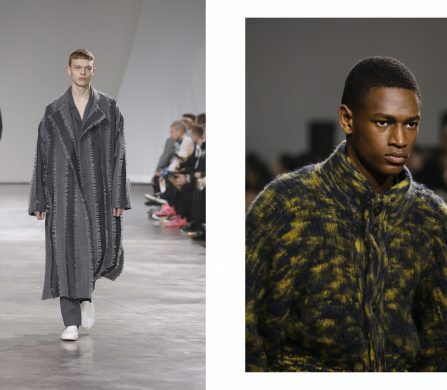 In all, Abe played with form, textures and silhouettes, with knitwear becoming the protagonist. 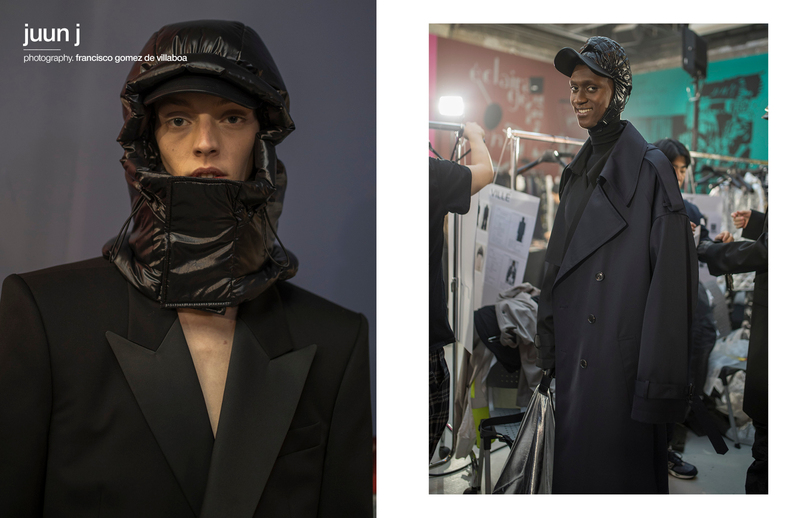 If somehow subtle, deconstruction (as well as reconstruction) elements were also present in the extremely wearable and trendy collection. 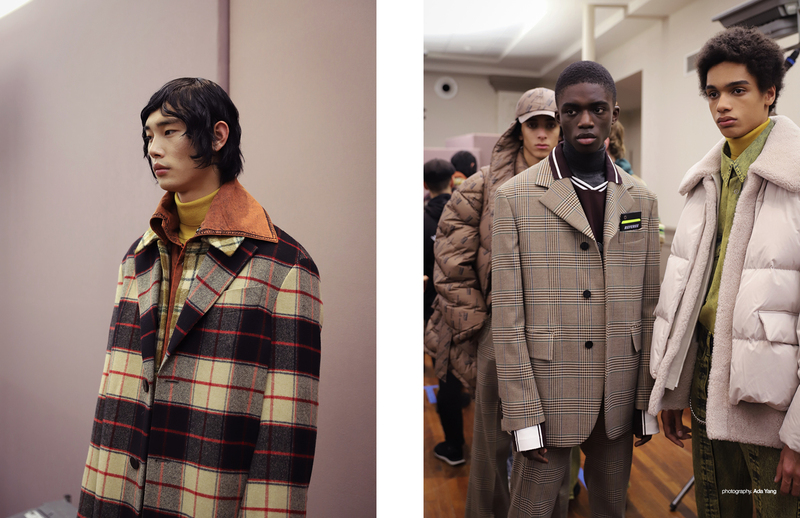 Designer Katie Chung presented a retro-inspired collection at WOOYOUNGMI. 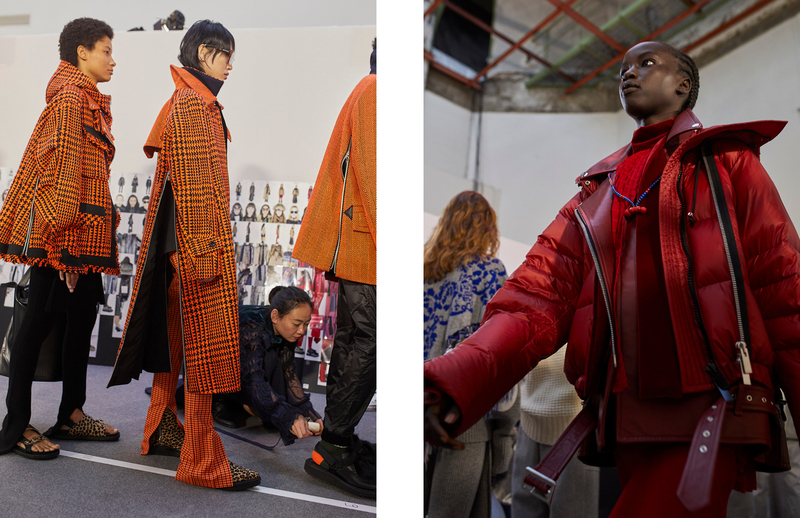 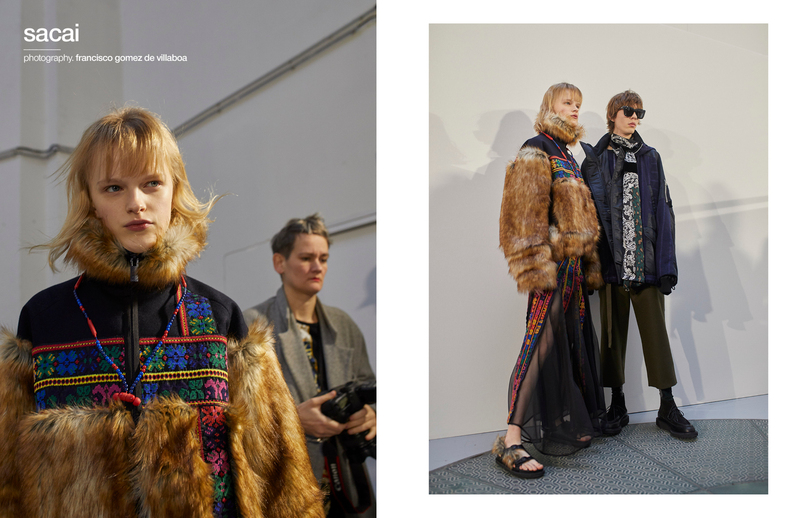 This season, the designer looked at the feats and inspirations of The Lost Generation, as Gertrude Stein herself coined the group. 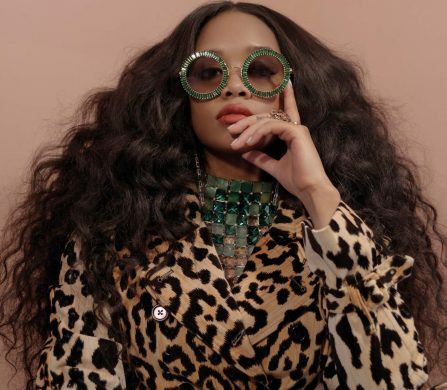 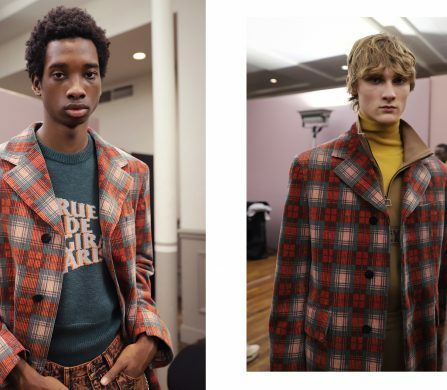 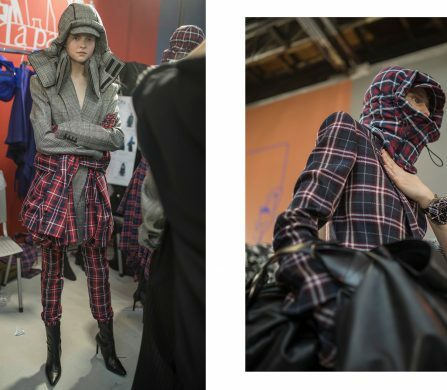 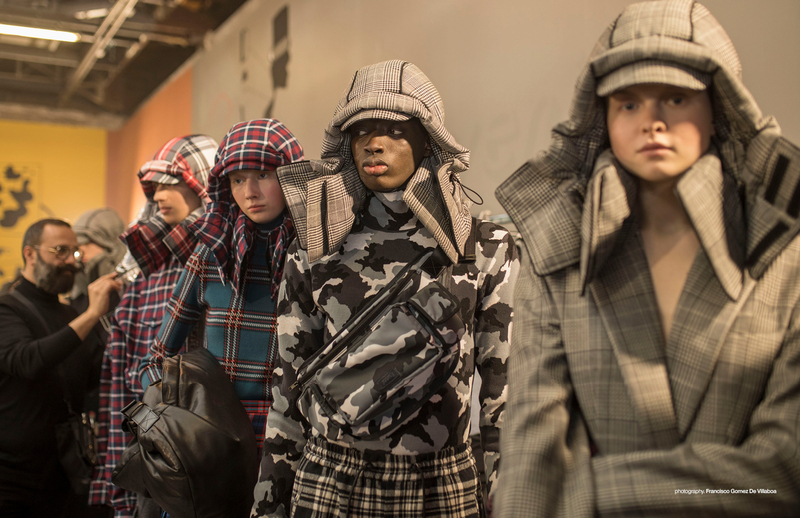 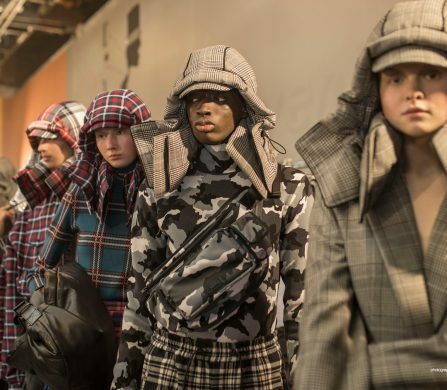 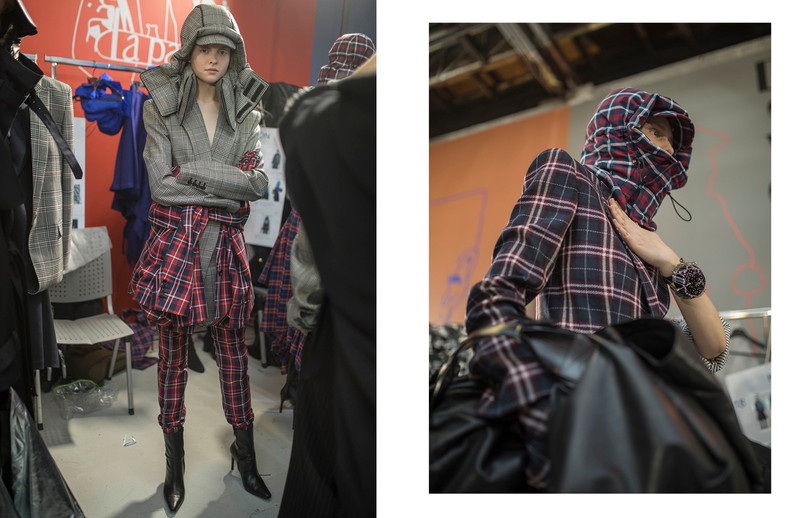 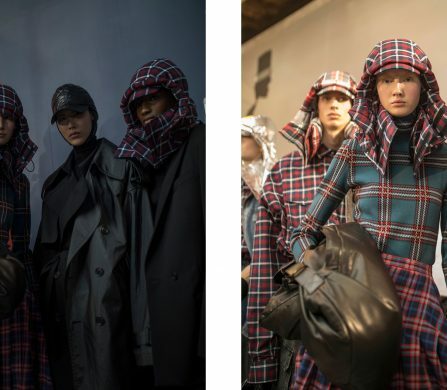 Checked and tartan patterns reigned supreme, drawing elements from the ’20s in the accessories department, yet infusing the clothes with current streetwear elements. 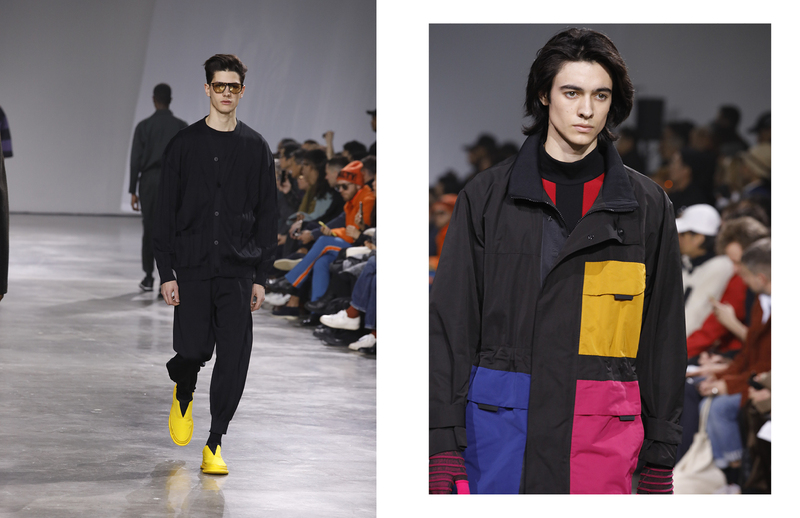 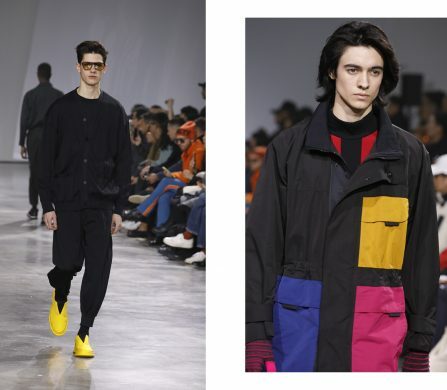 The collection displayed a predominately black and yellow palette, with denim and blues being introduced later. 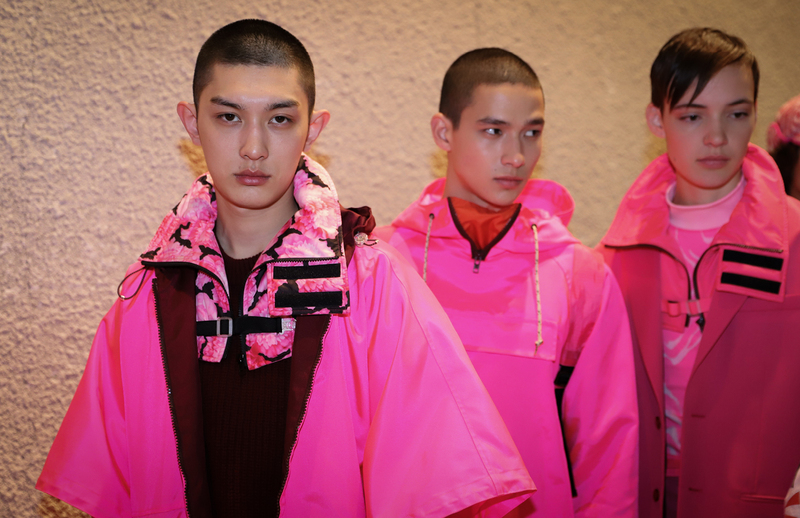 Mixing elements from a myriad of fashion standpoints, Chung’s collection certainly felt street ready — regardless of era. 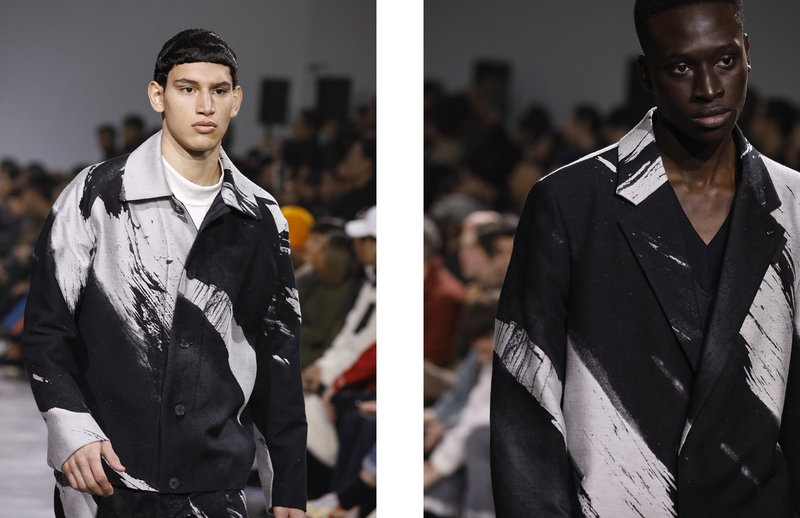 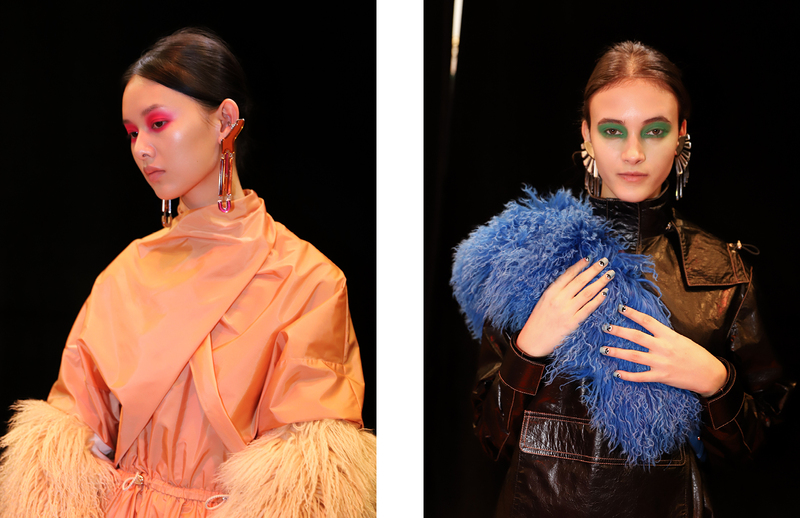 As much as the fashion, the beauty in Yohji Yamamoto‘s AW19 show blew us away. 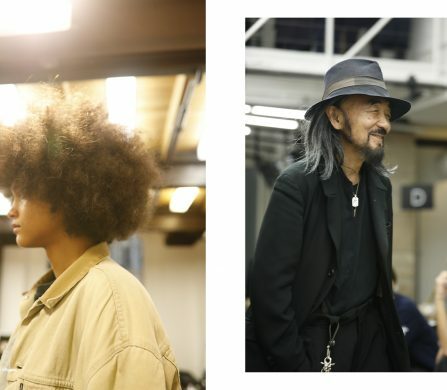 With thespian allure, Yamamoto’s beauty looks gave the show an extra dramatic je ne sais quoi — not that the show needed it. 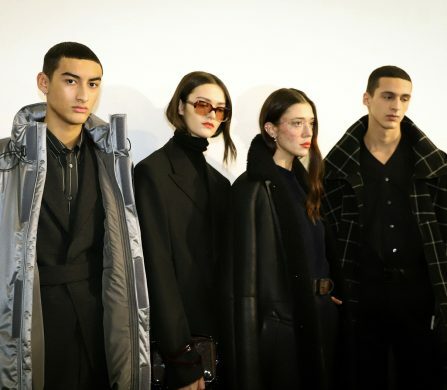 Dancing between the line of Yamamoto’s own legacy and Romanticism, the collection presented itself as a quasi-Victorian reinterpretation of the designer’s trademark silhouettes, rounded off with immaculate tailoring, organic detailing, magnificent texture play and, of course, an all-black palette. 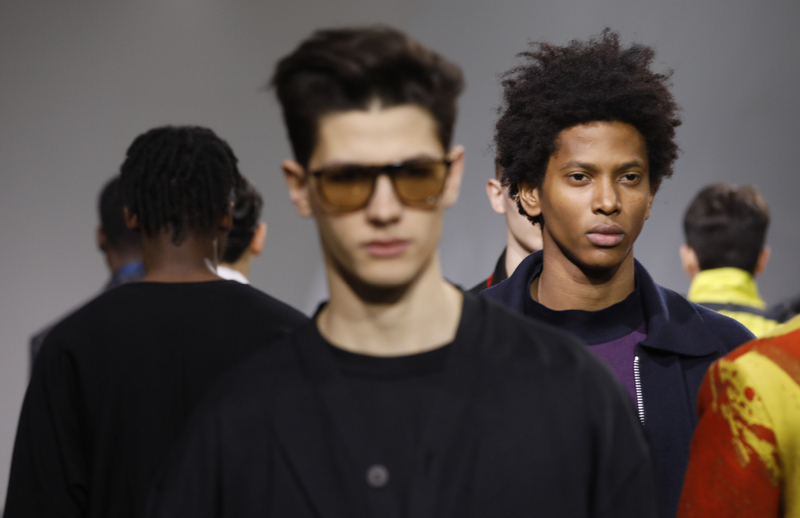 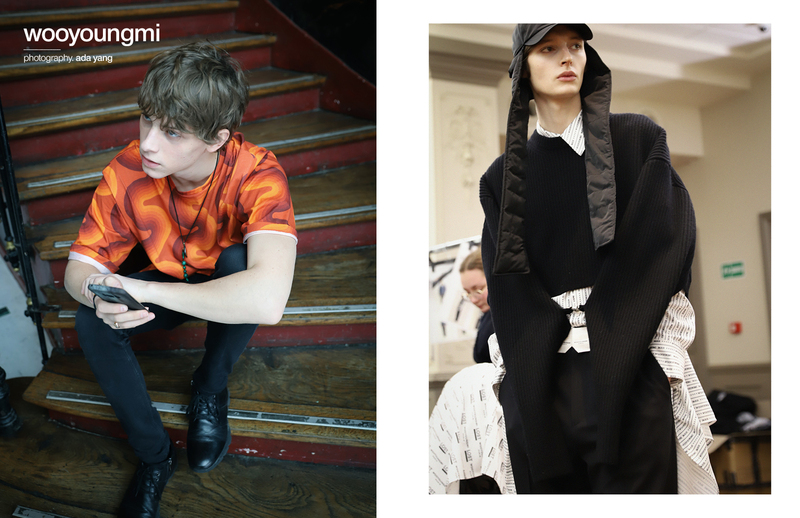 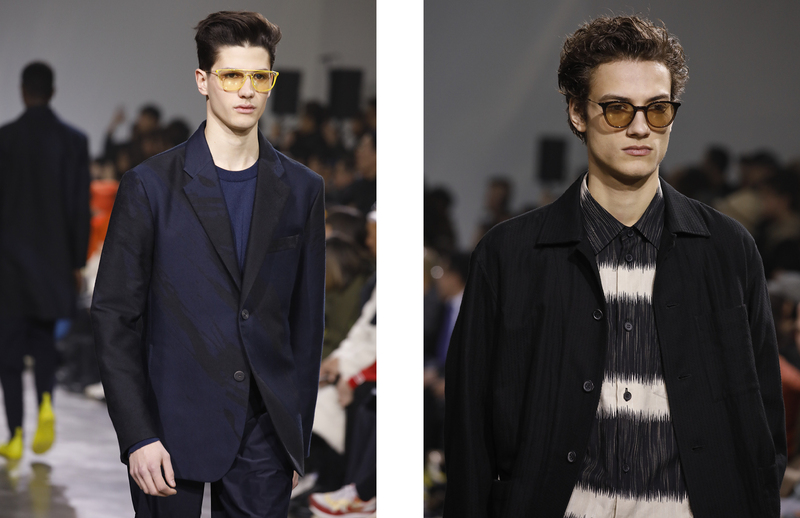 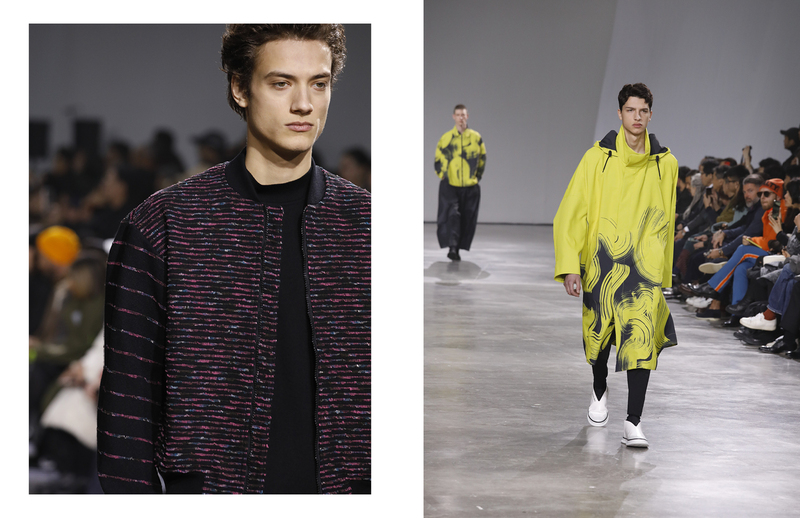 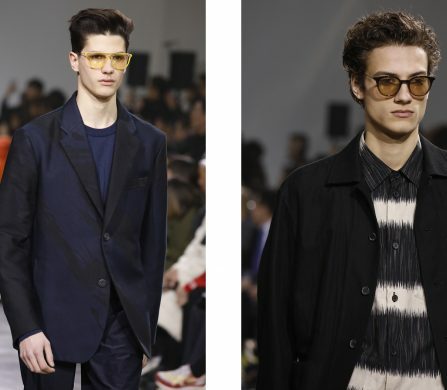 Find out more information about Paris Fashion Week Men’s here.